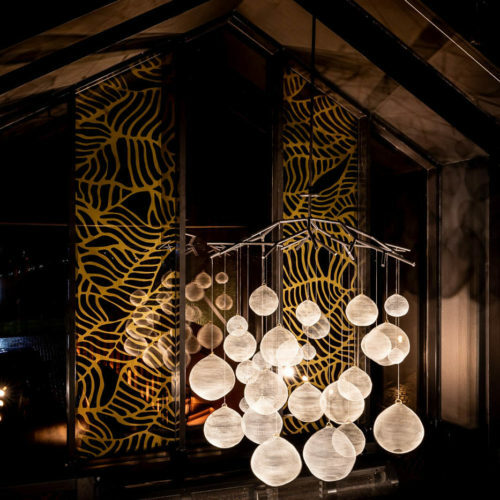 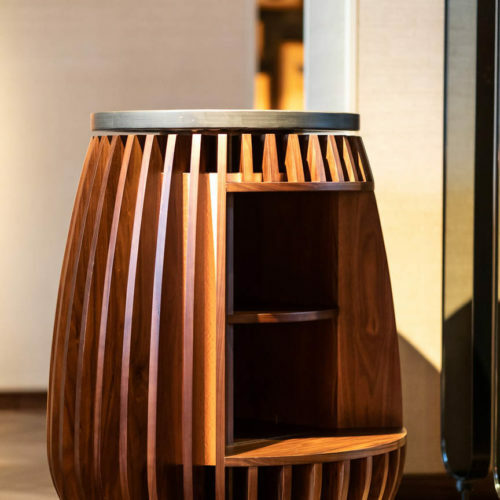 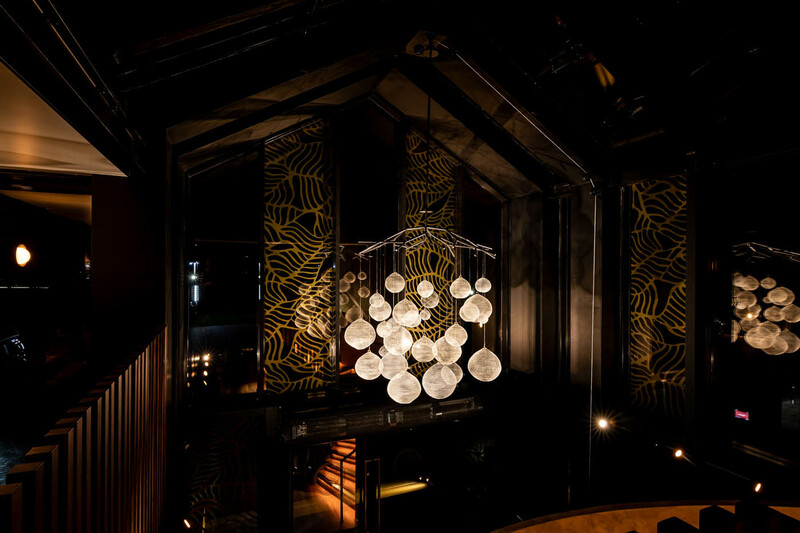 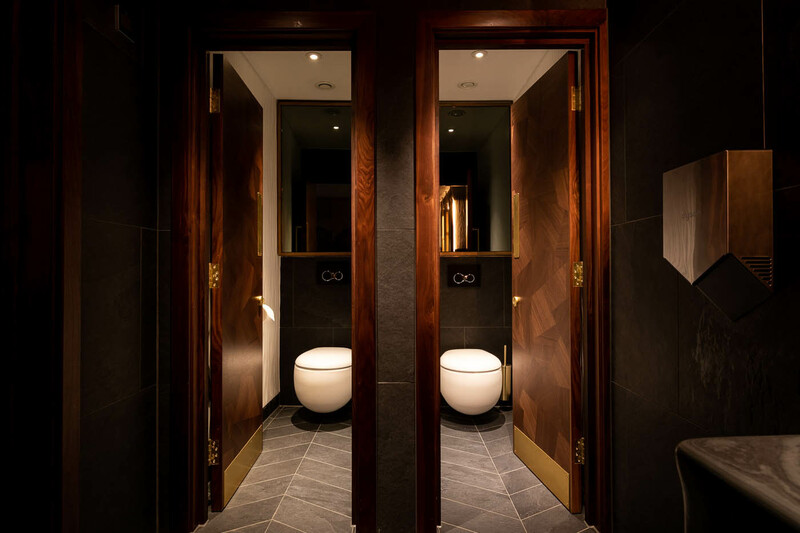 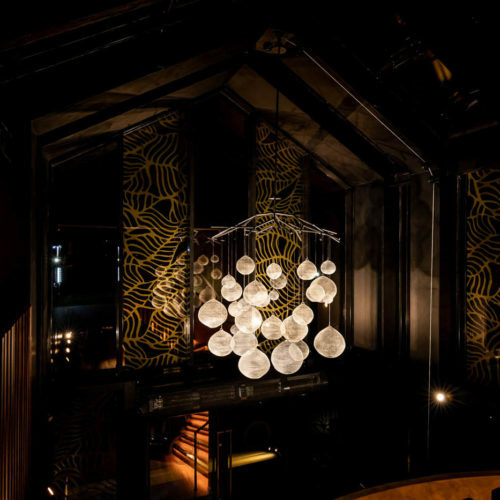 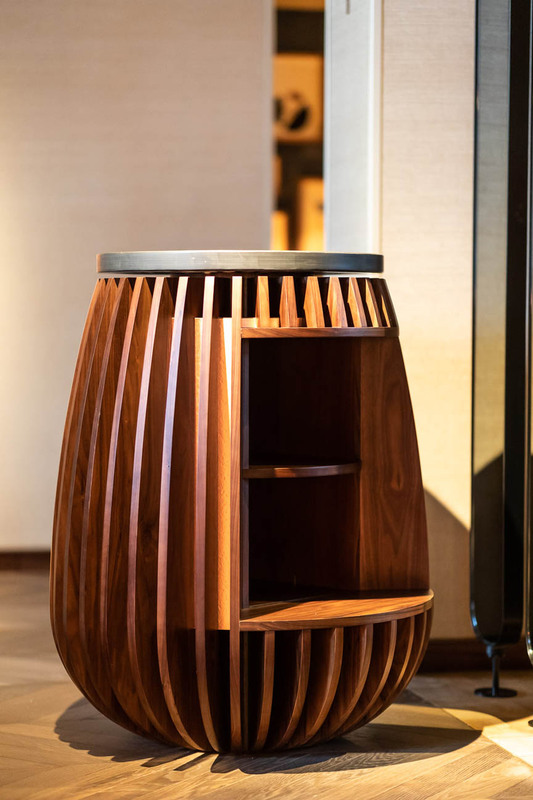 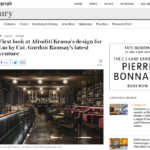 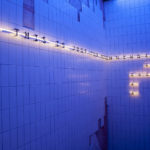 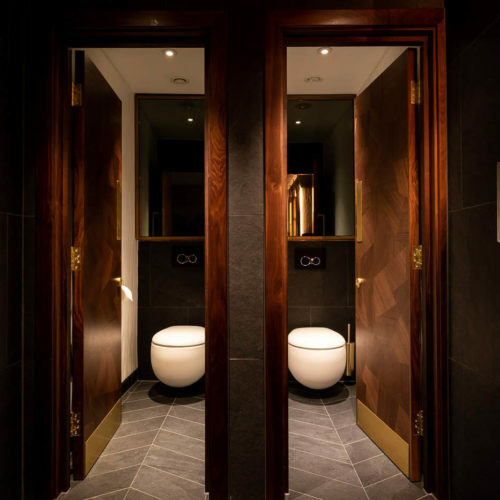 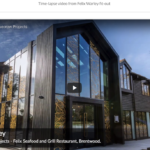 Bluecrow worked closely with Design LSM to create what is Felix Warley. 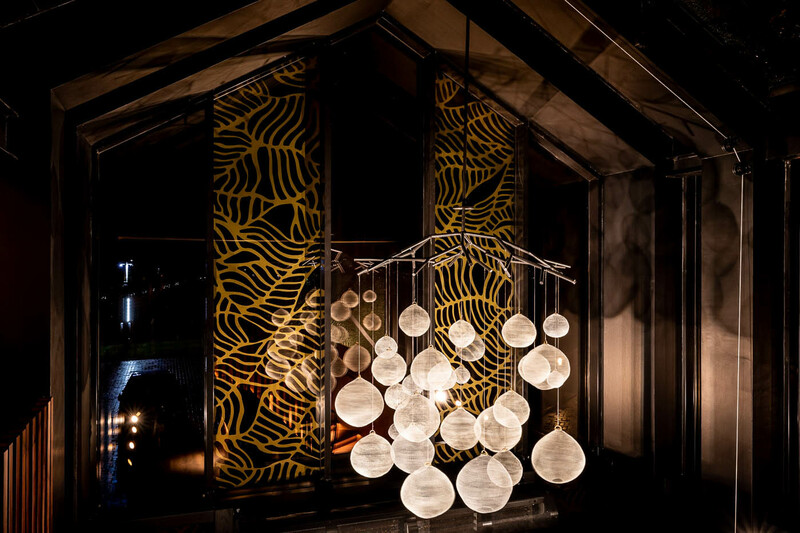 Sally Williams, Associate Designer spoke about the design journey undertaken. 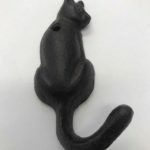 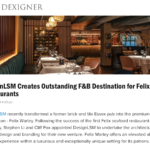 “In 2018, we again had the pleasure of working with Stephen Li and Cliff Fox on their second Felix venture, this time in Warley Essex; a significantly bigger project in both scale and ambition. 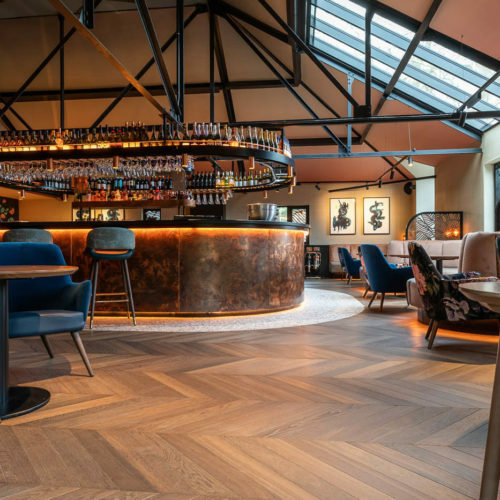 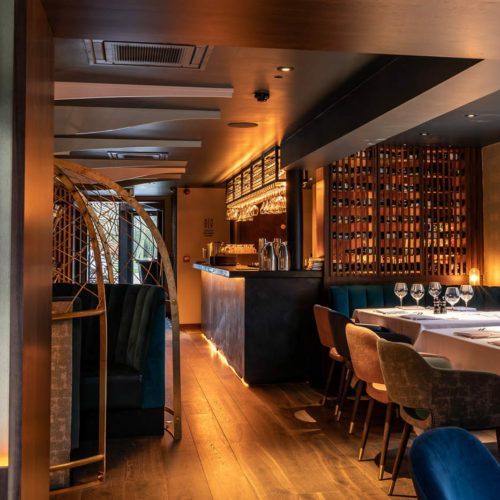 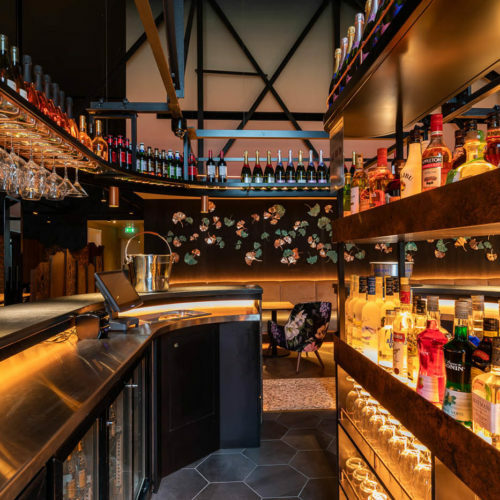 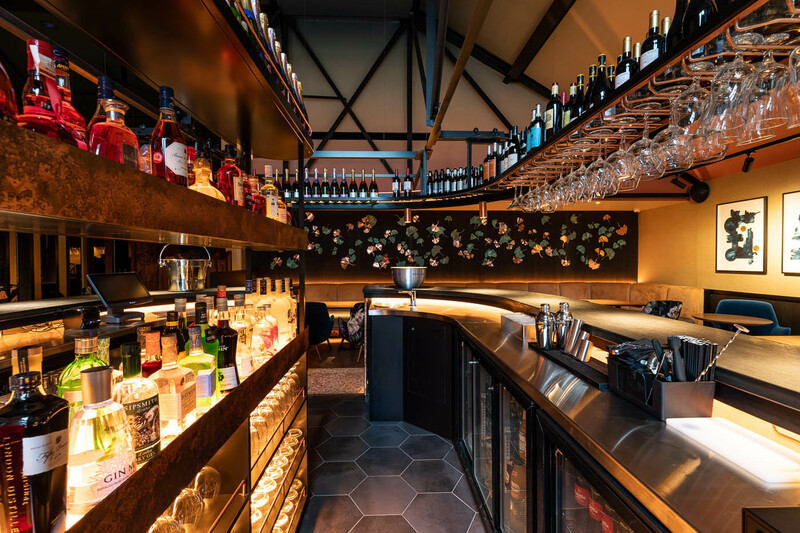 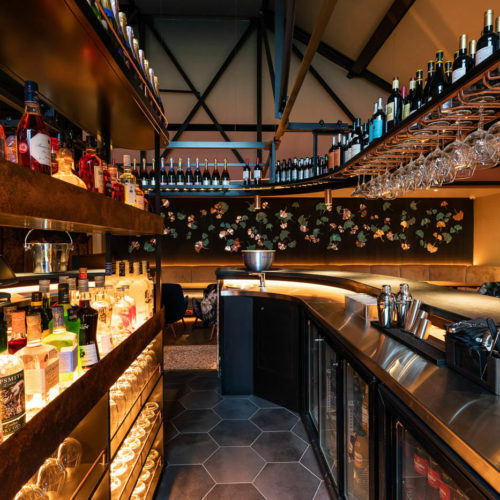 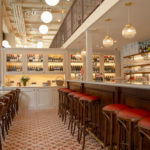 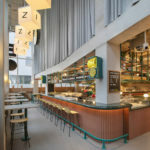 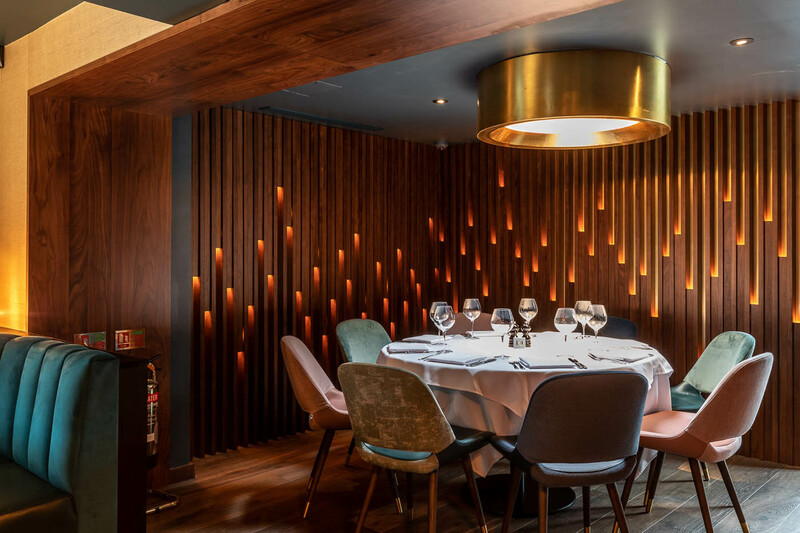 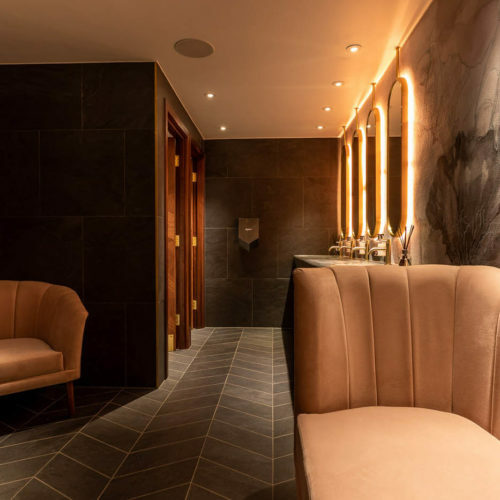 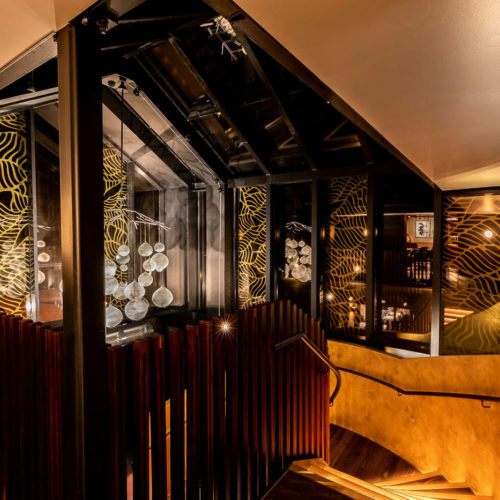 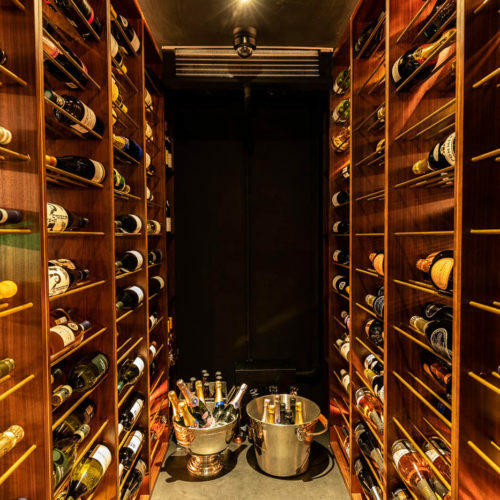 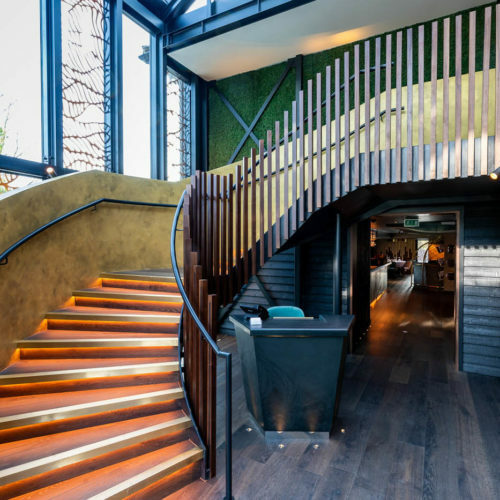 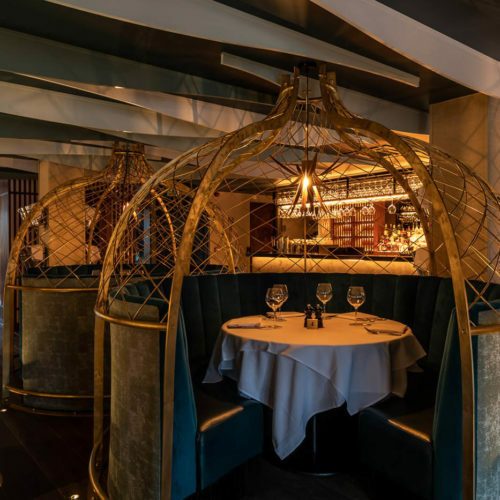 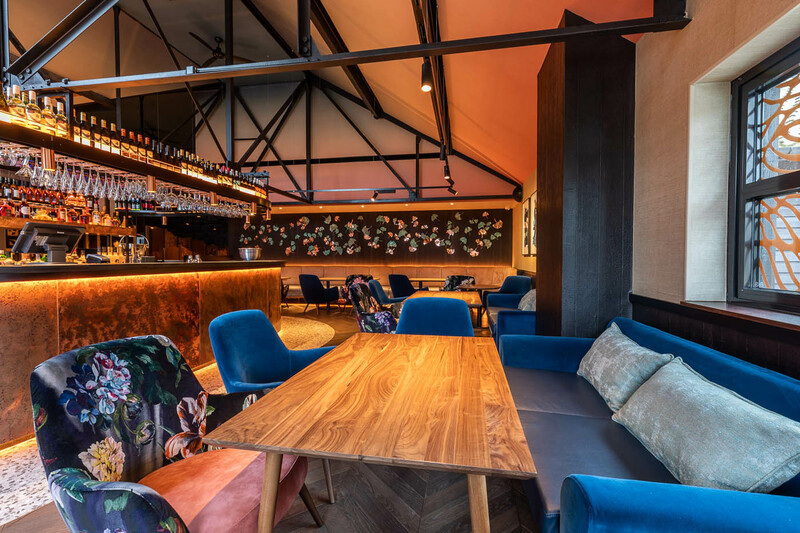 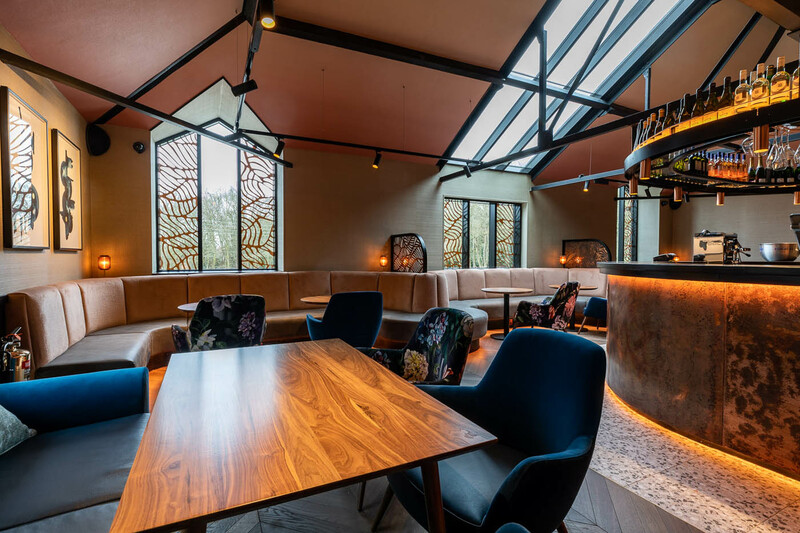 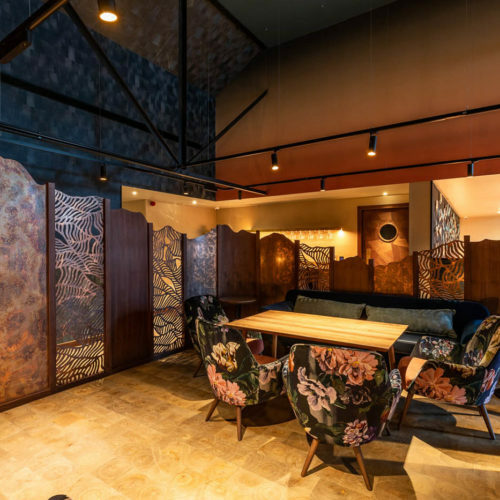 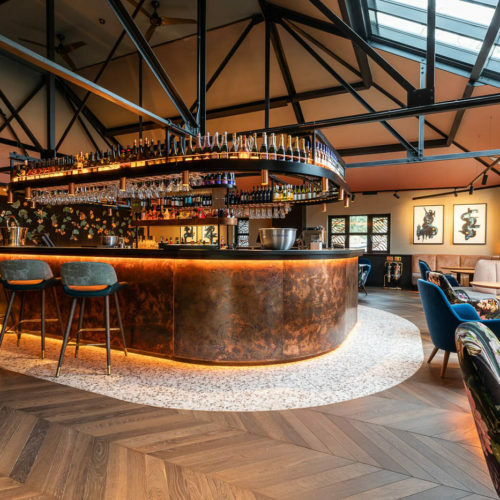 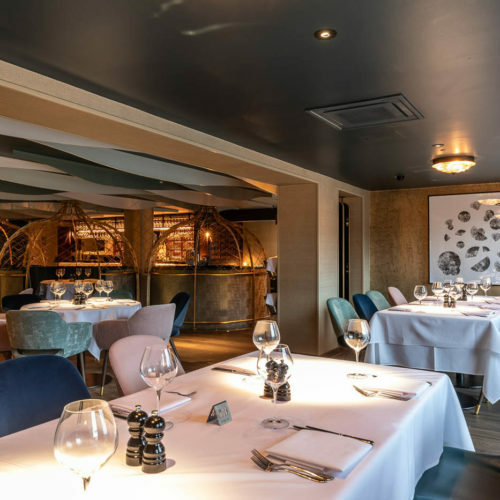 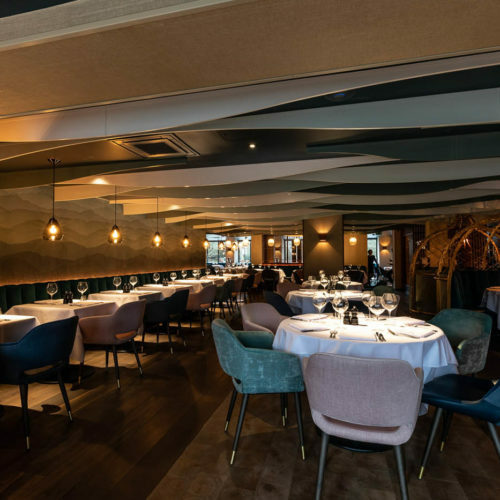 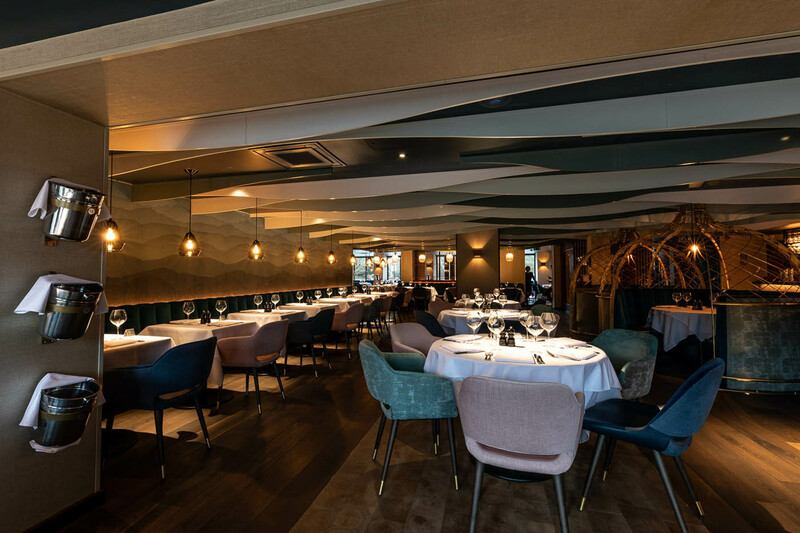 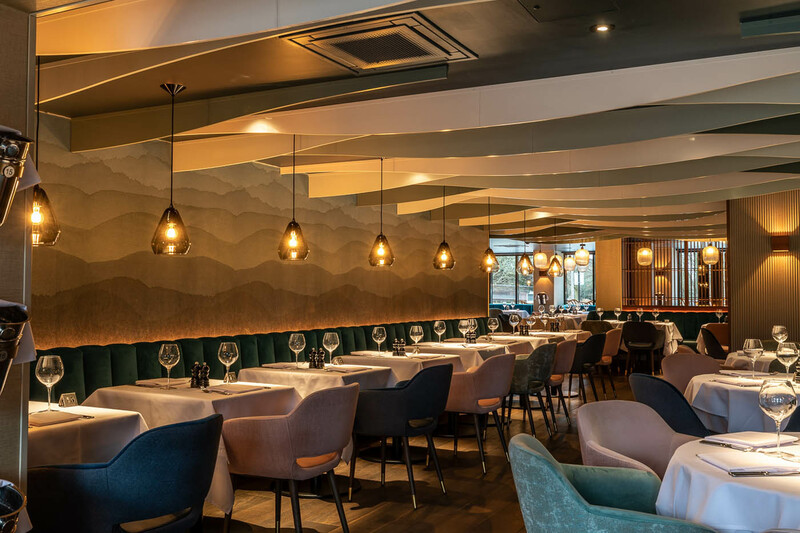 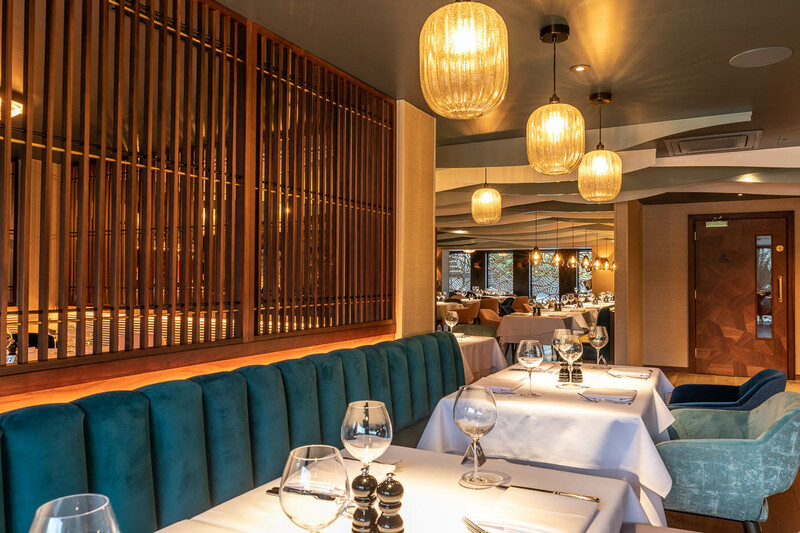 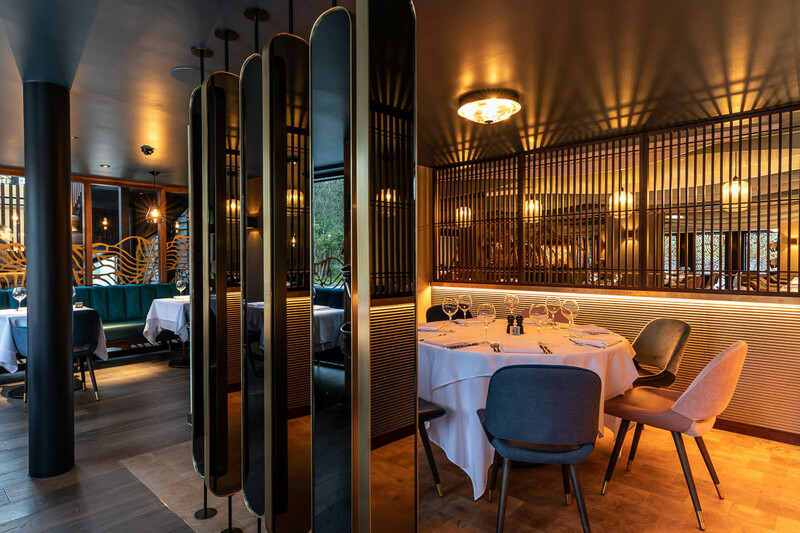 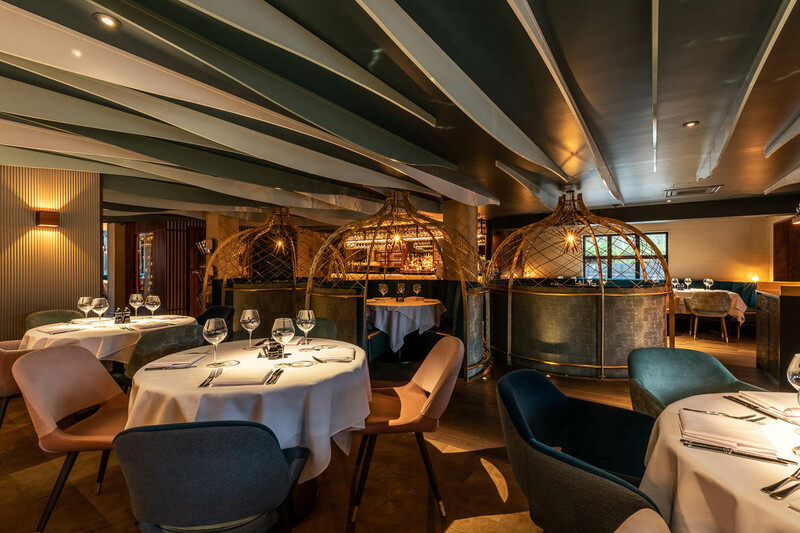 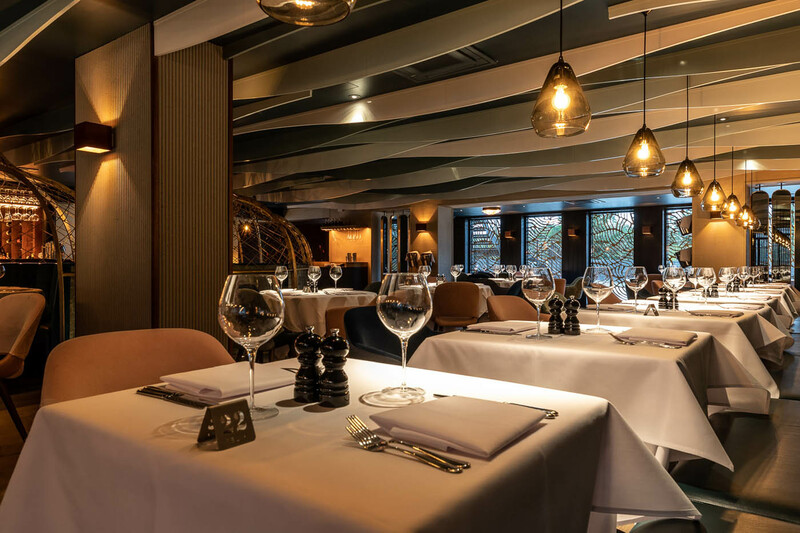 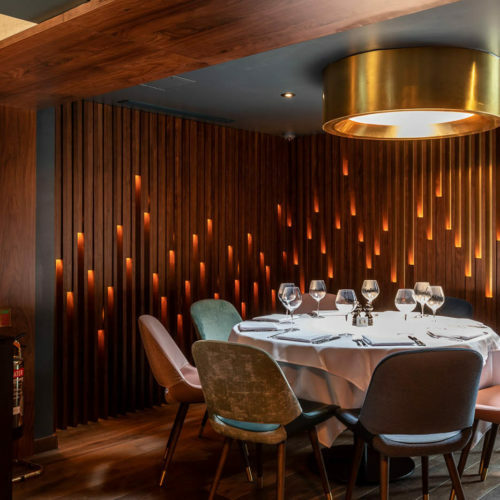 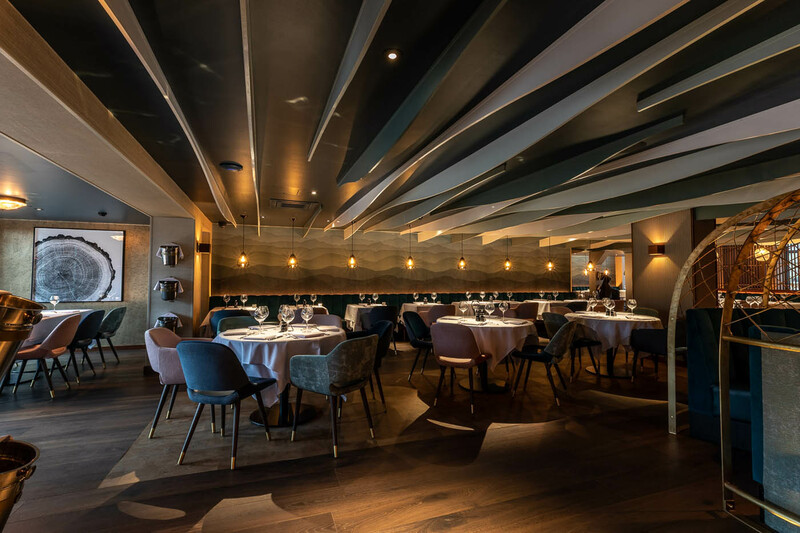 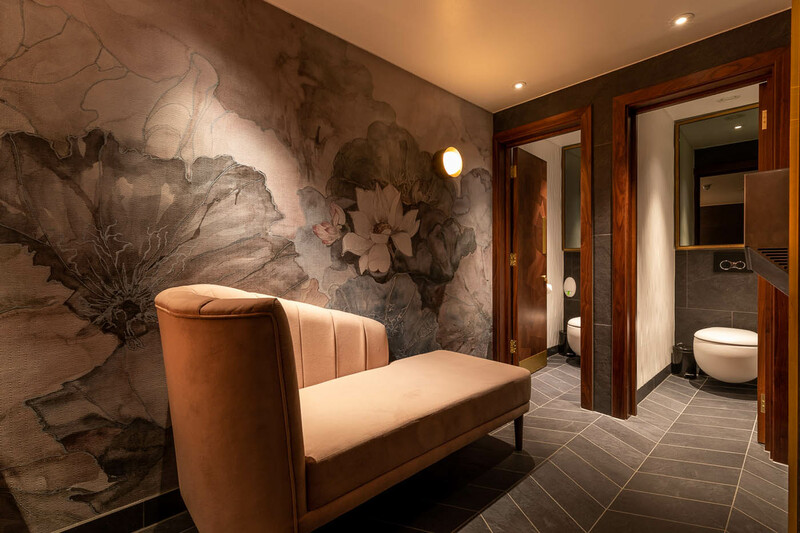 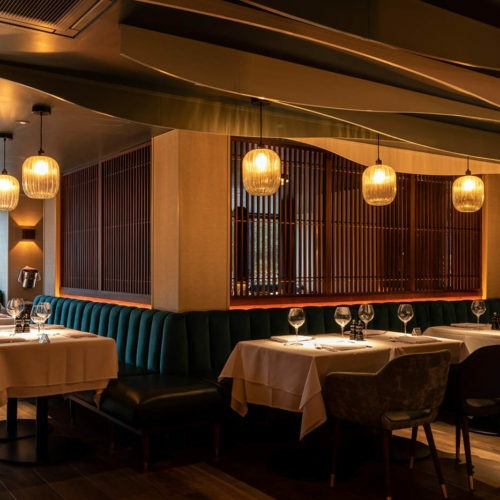 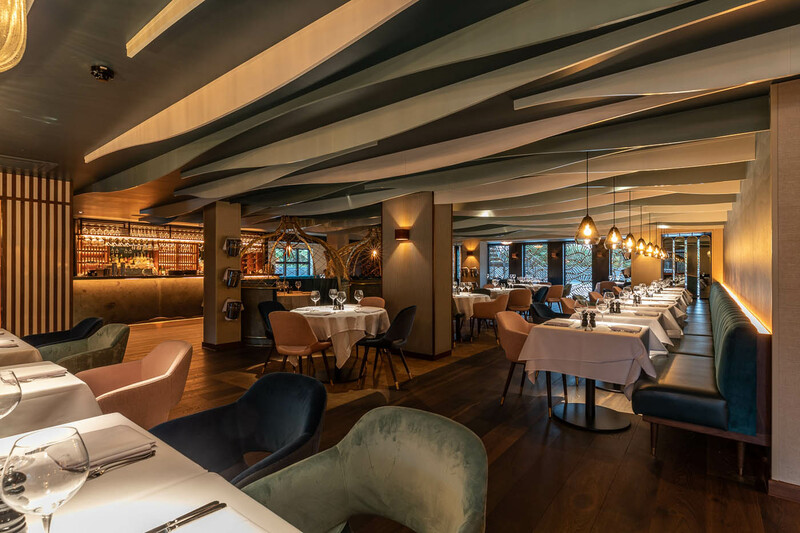 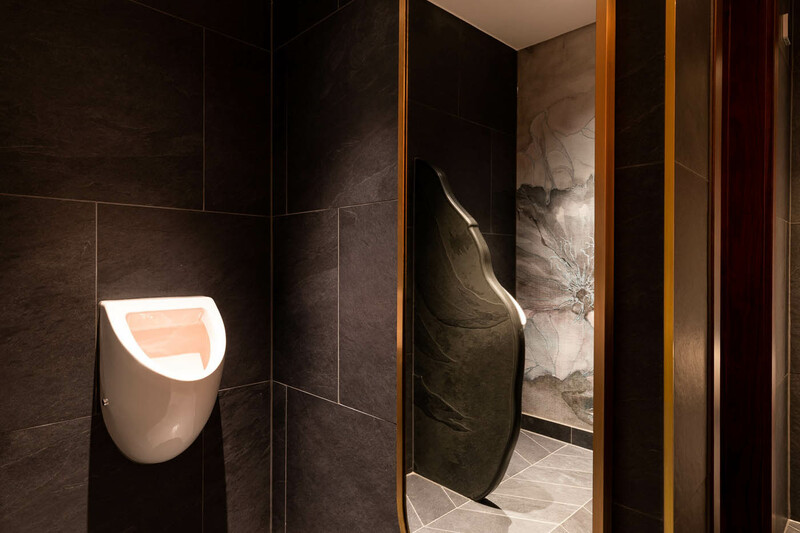 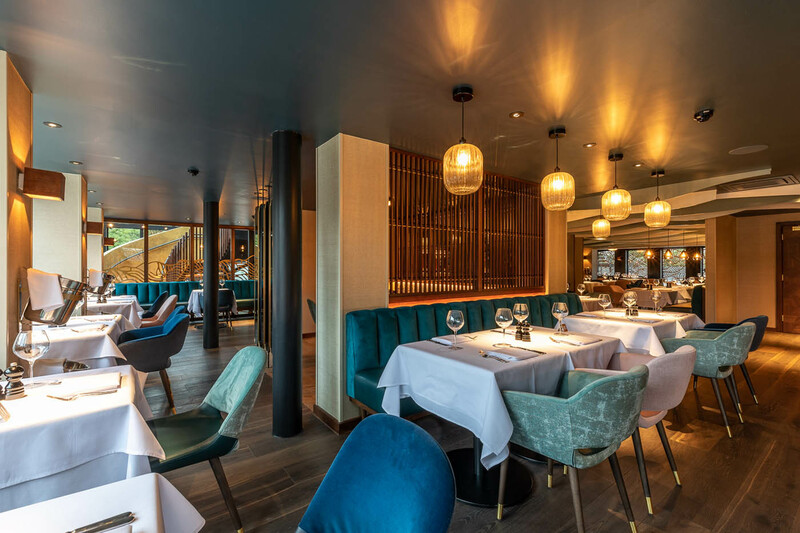 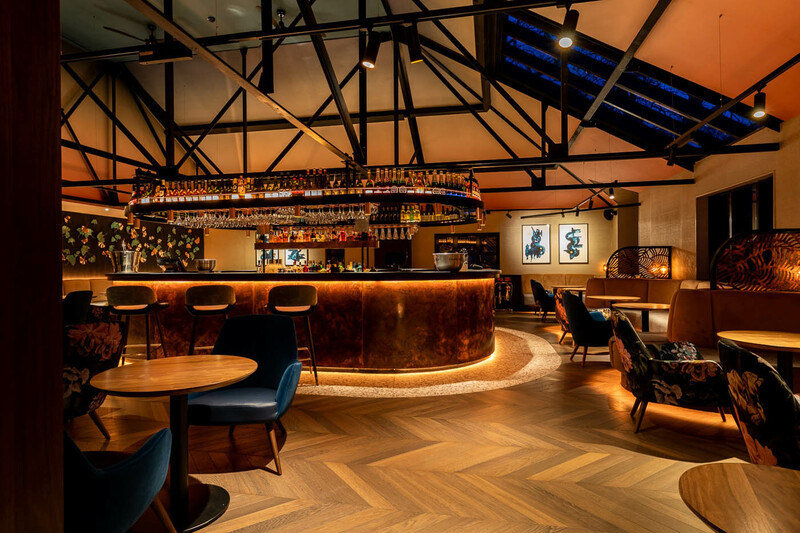 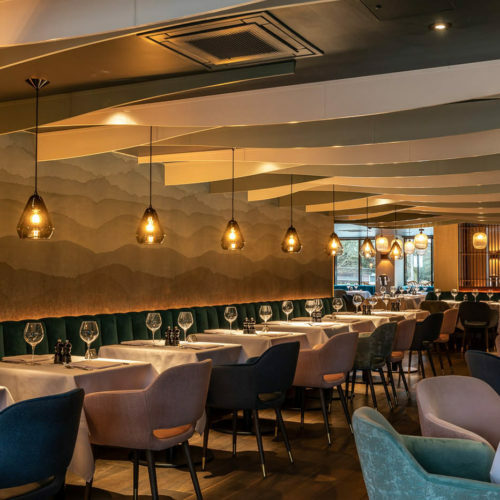 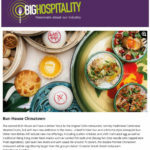 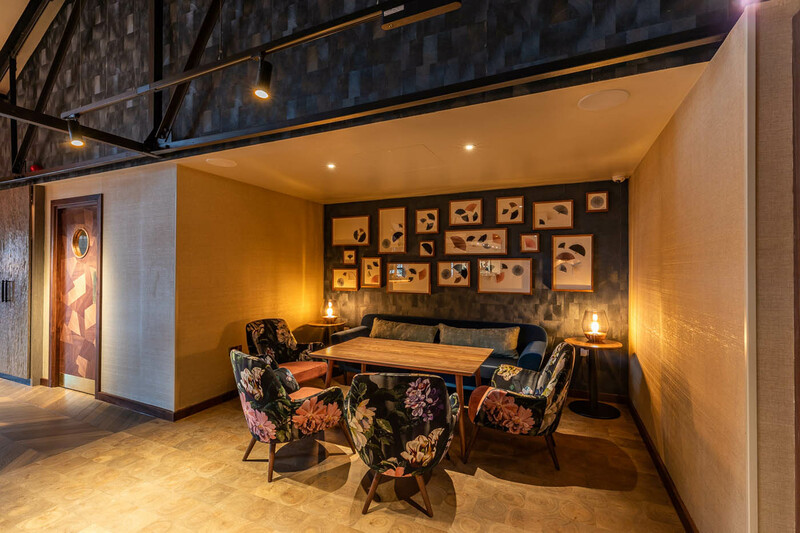 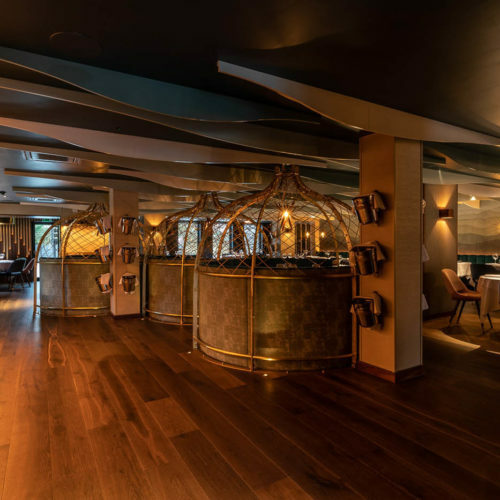 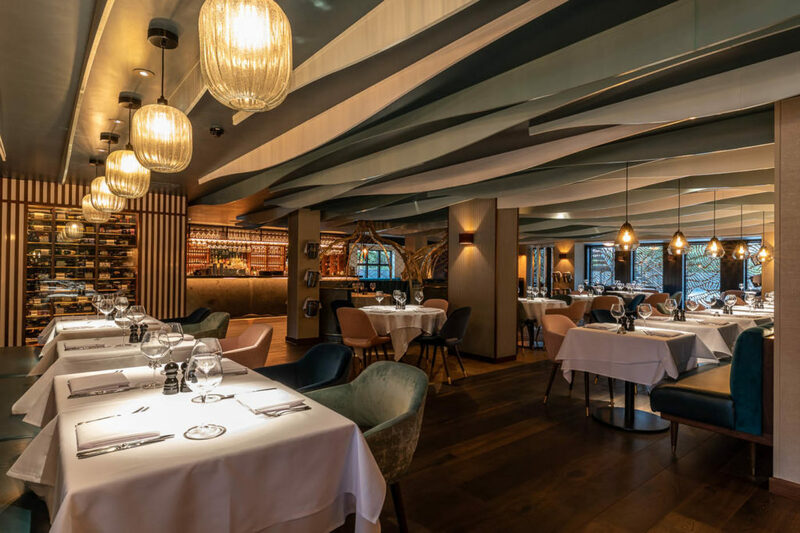 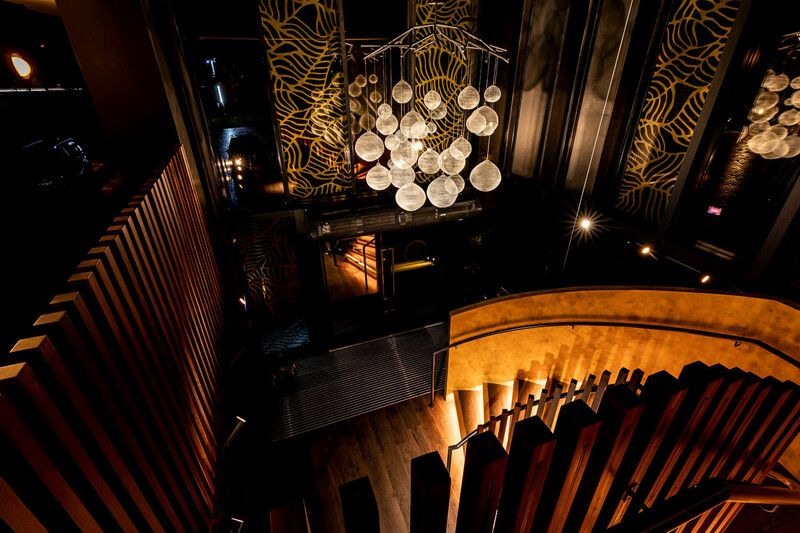 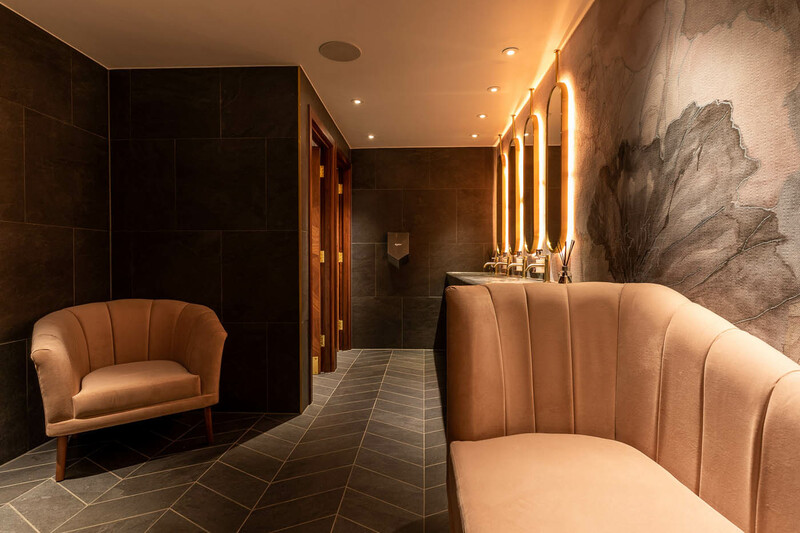 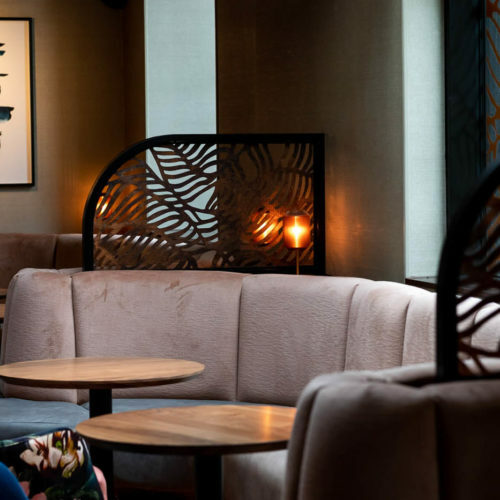 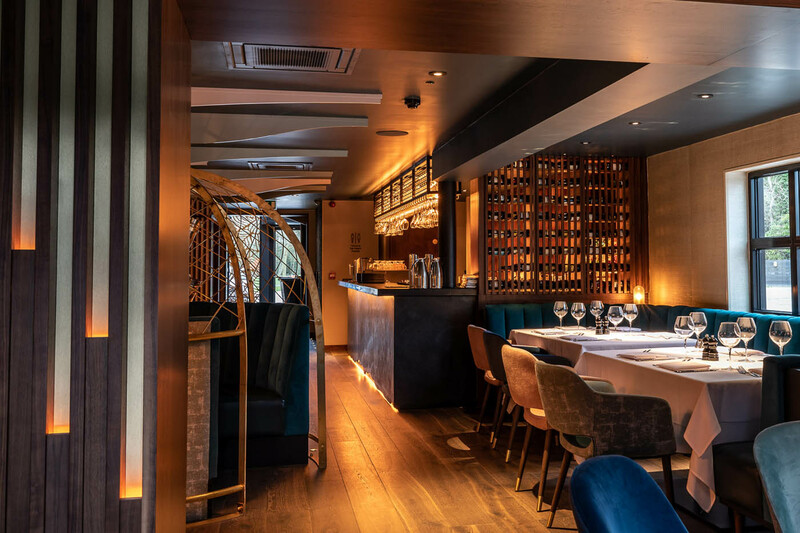 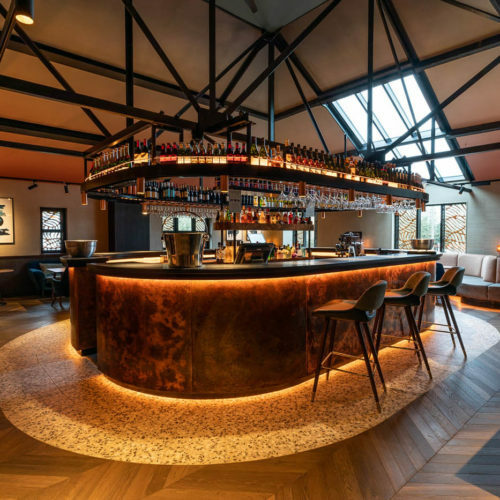 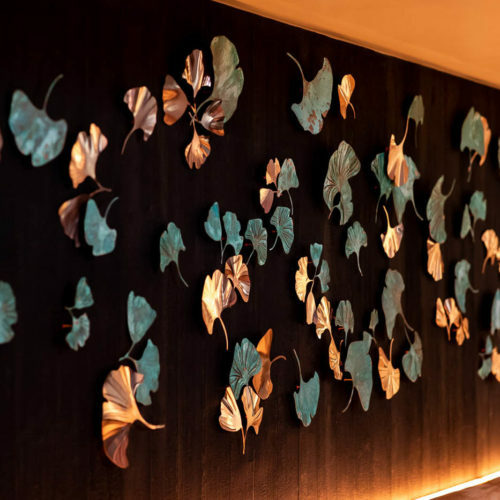 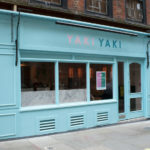 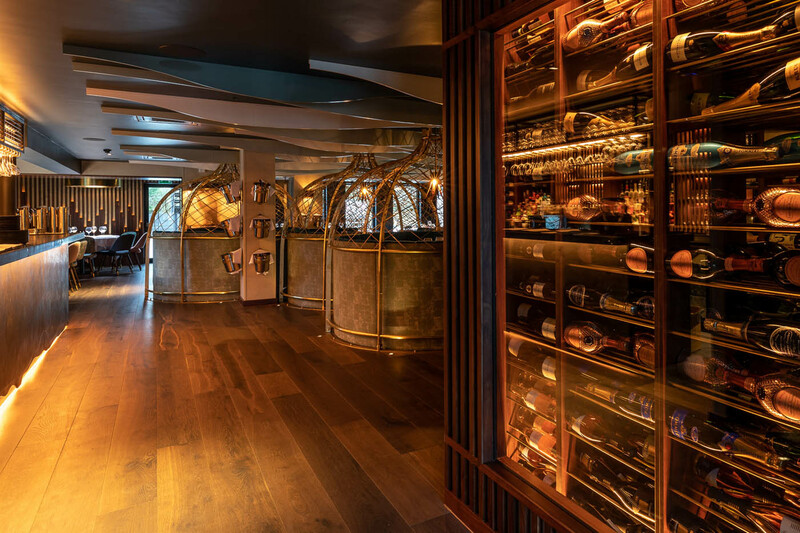 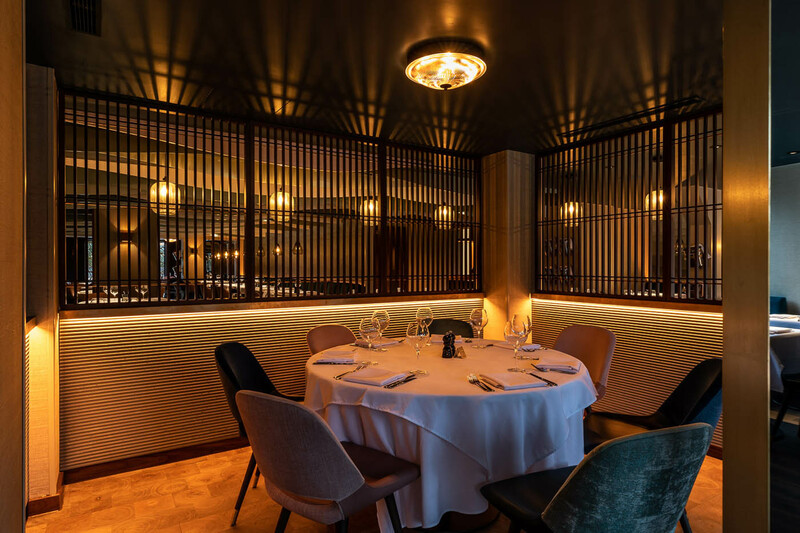 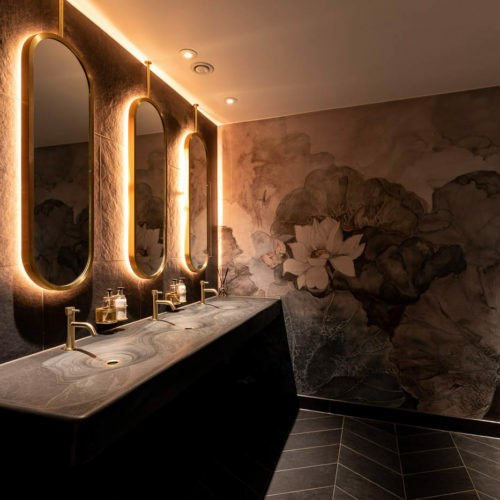 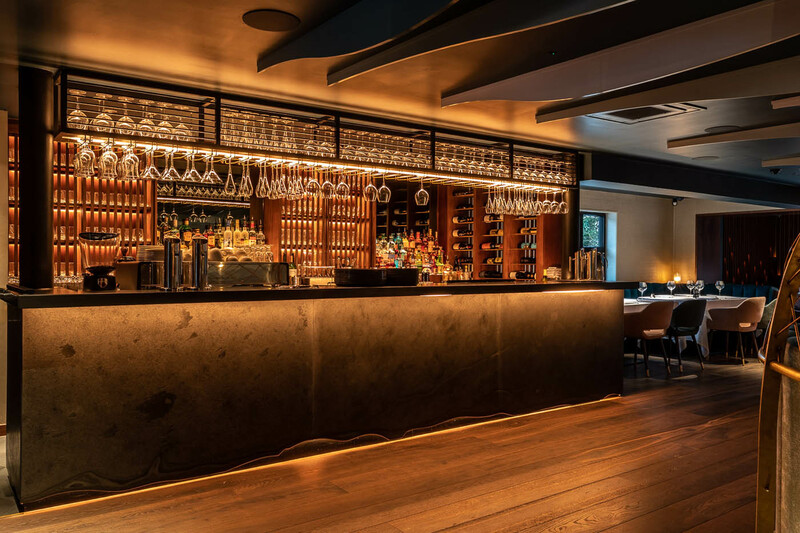 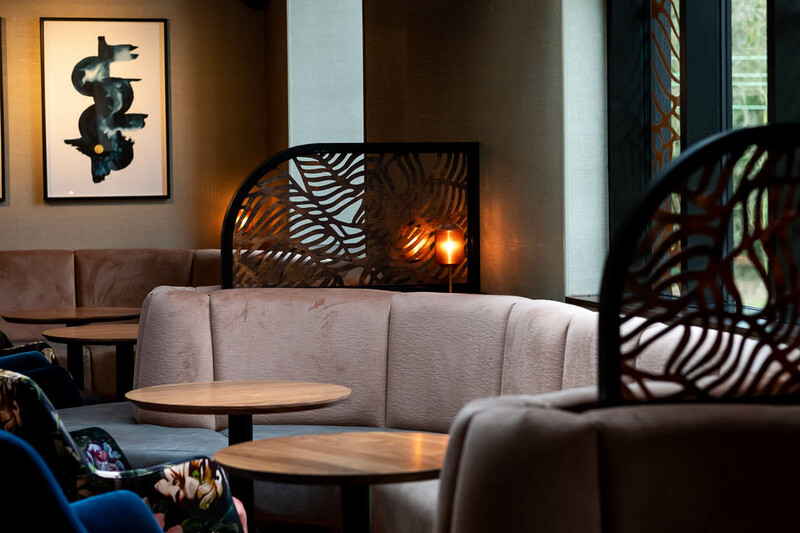 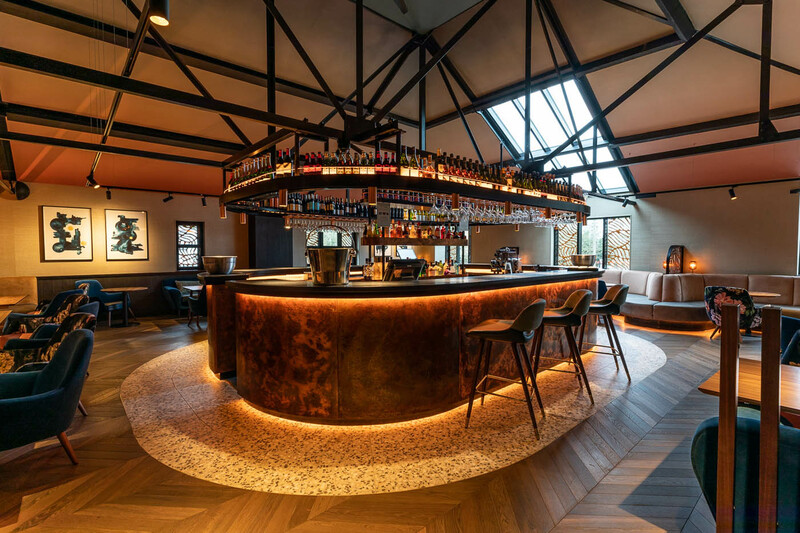 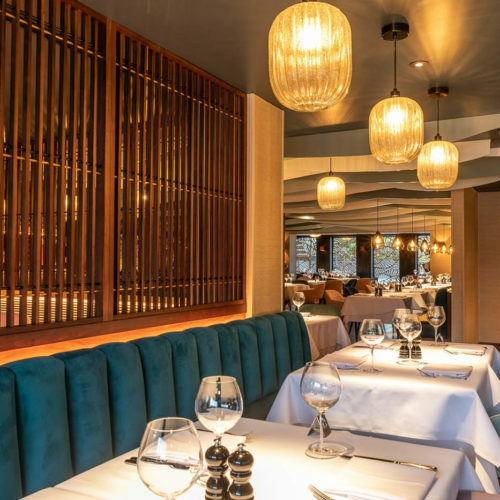 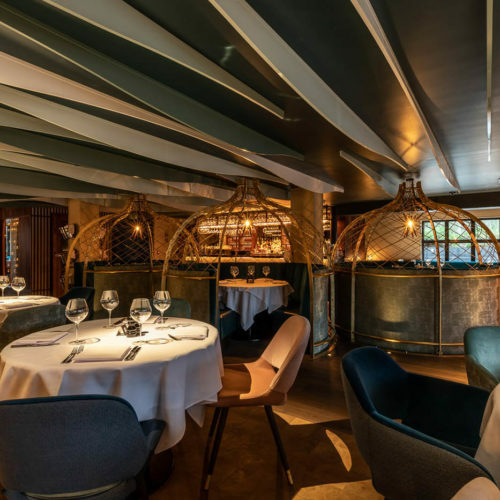 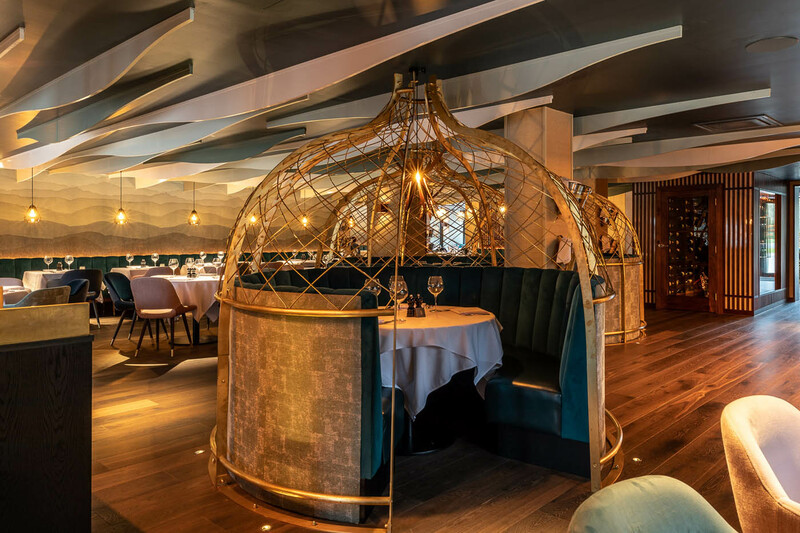 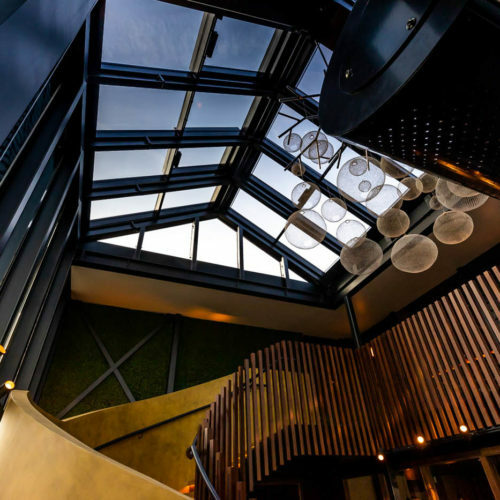 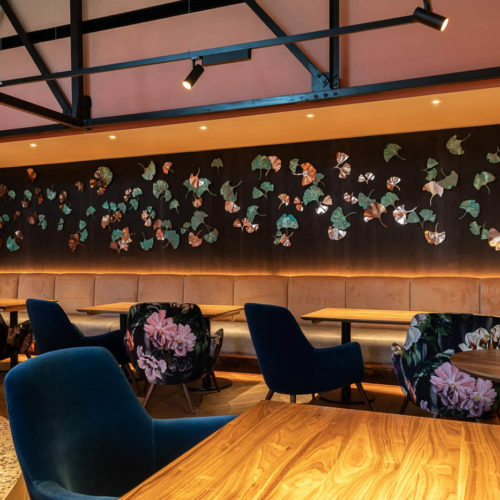 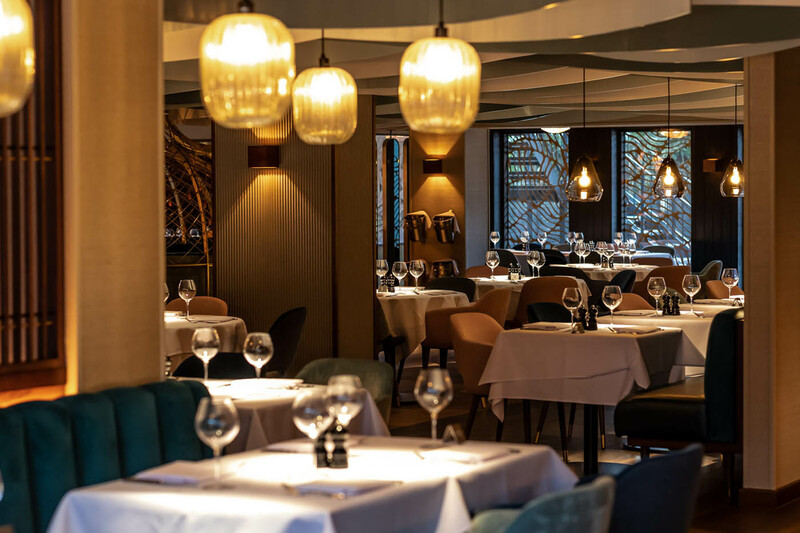 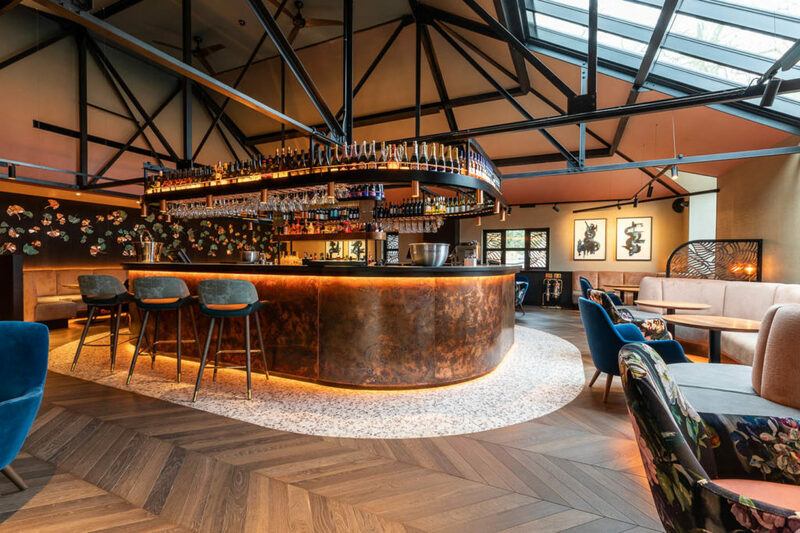 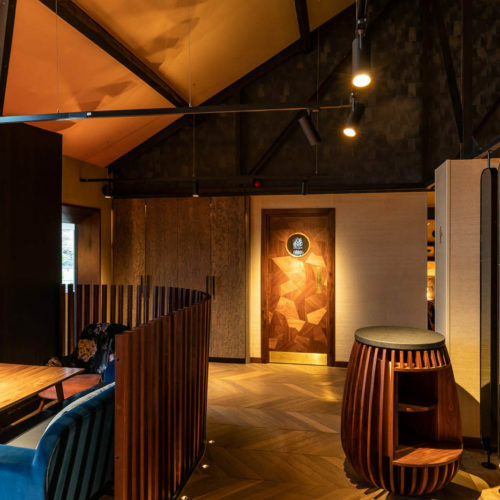 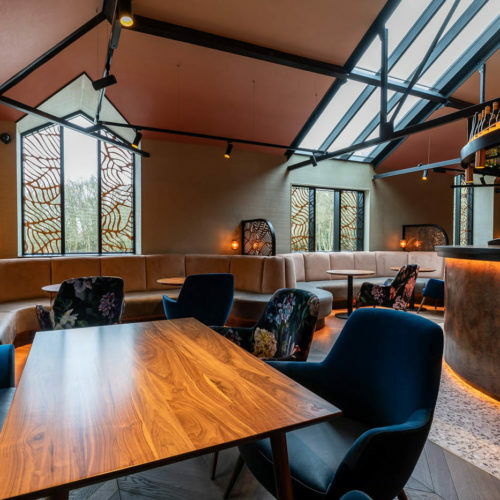 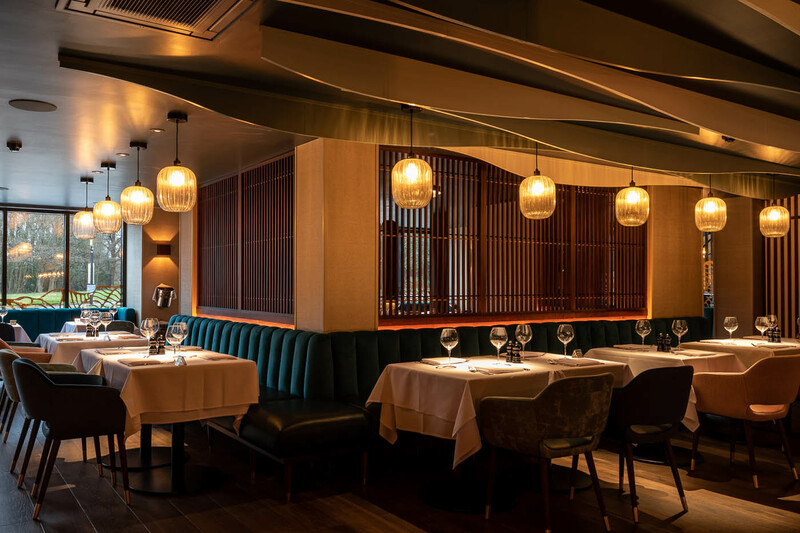 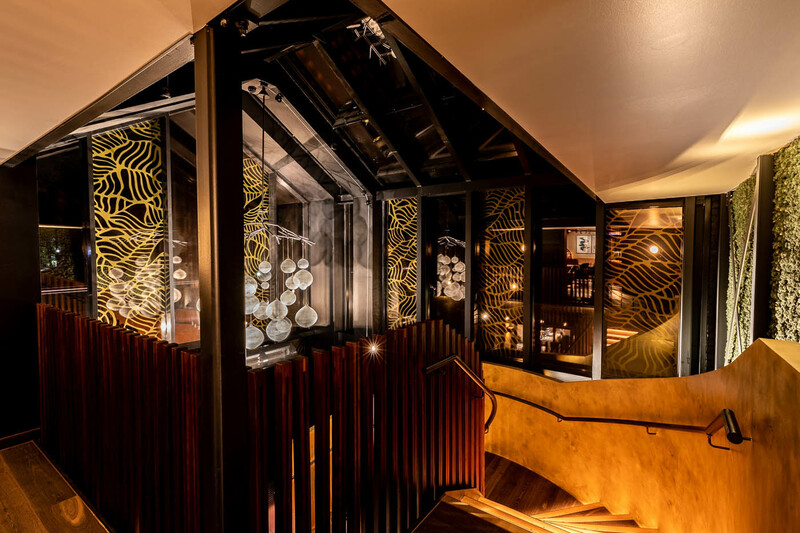 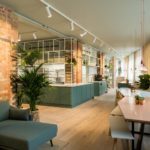 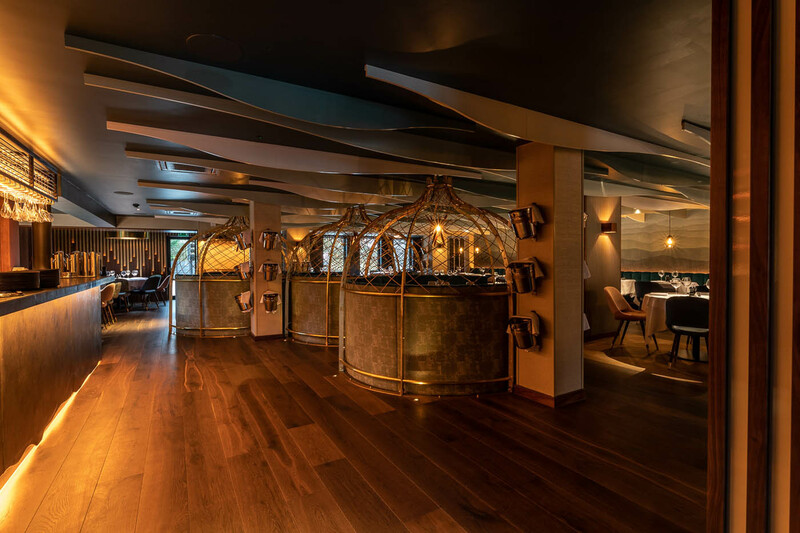 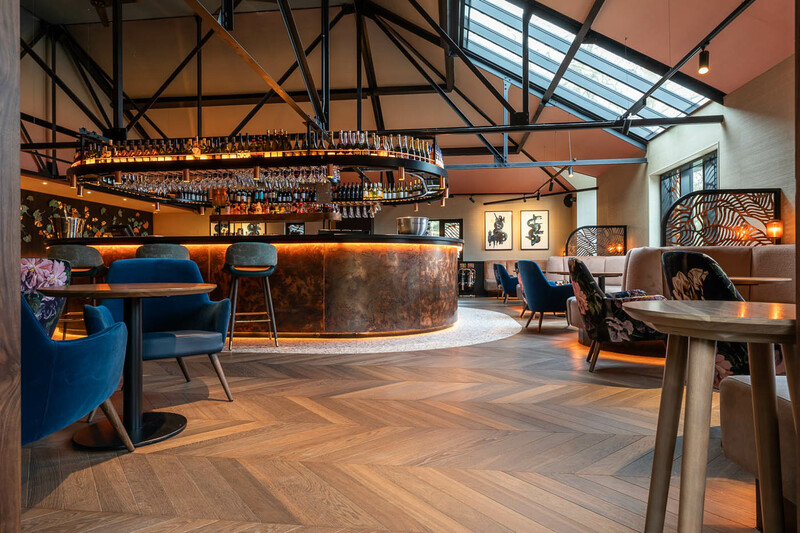 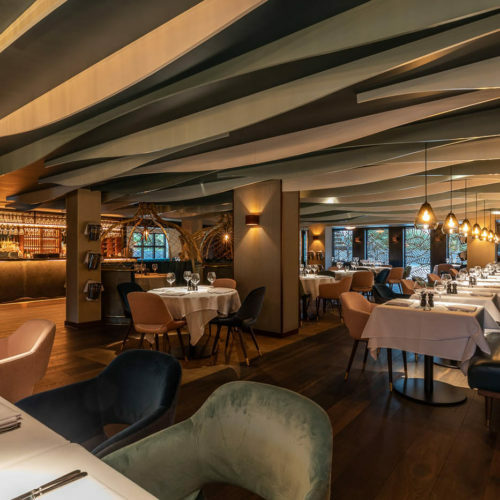 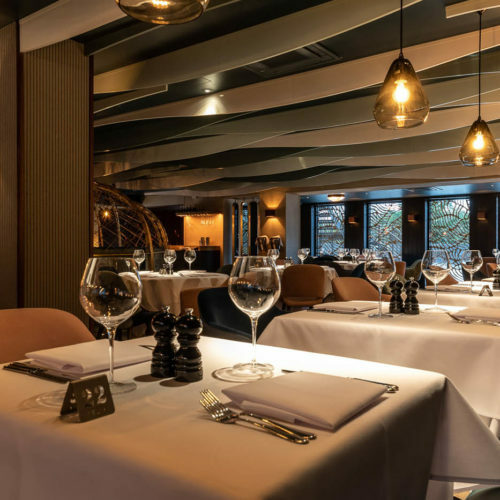 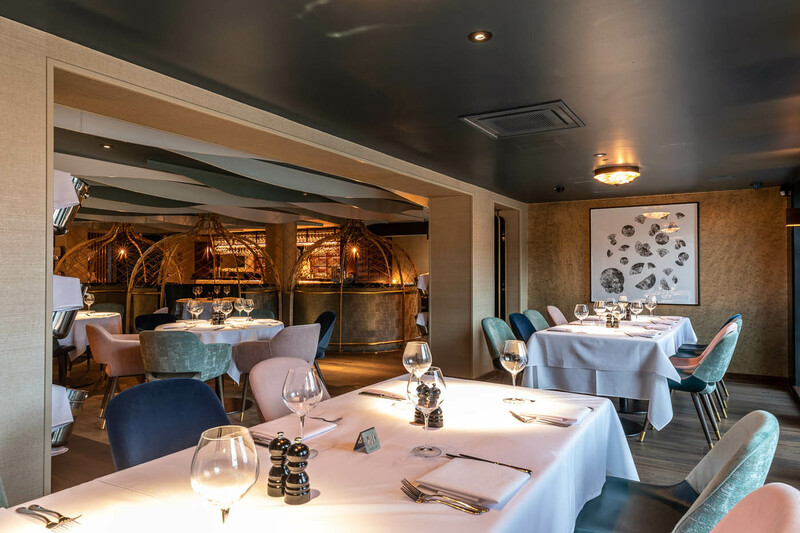 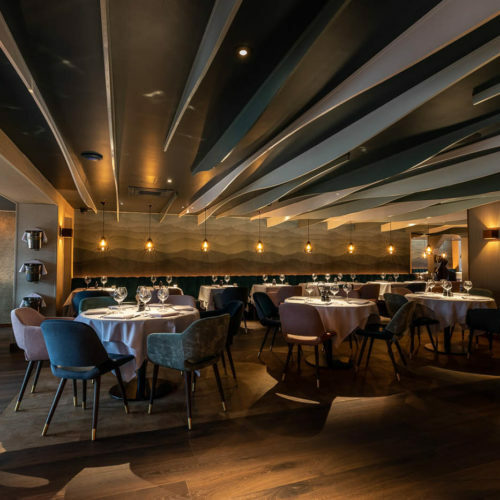 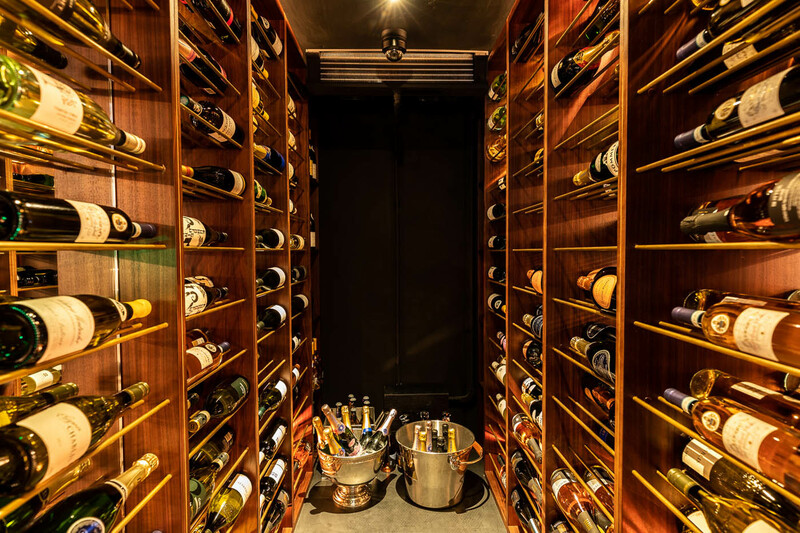 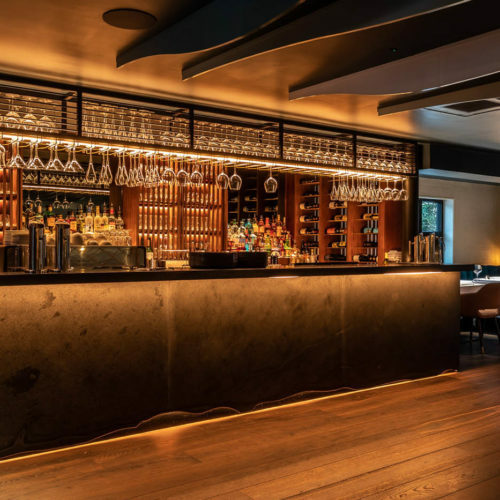 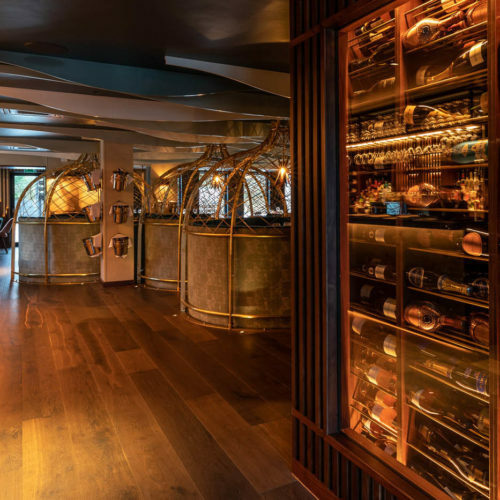 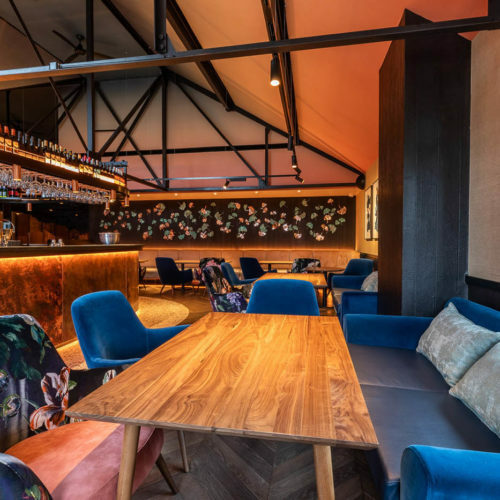 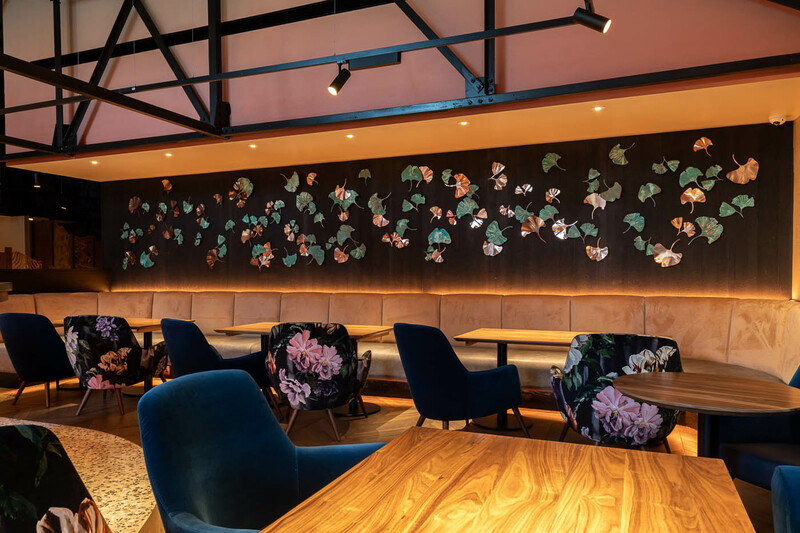 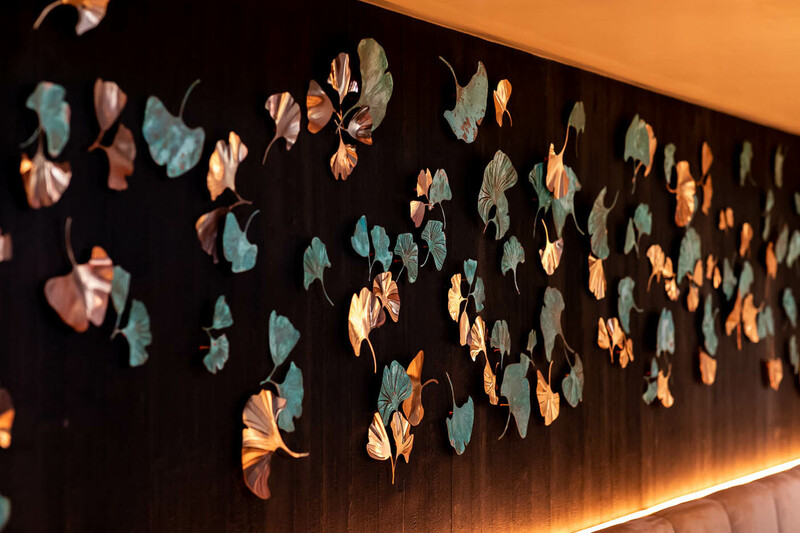 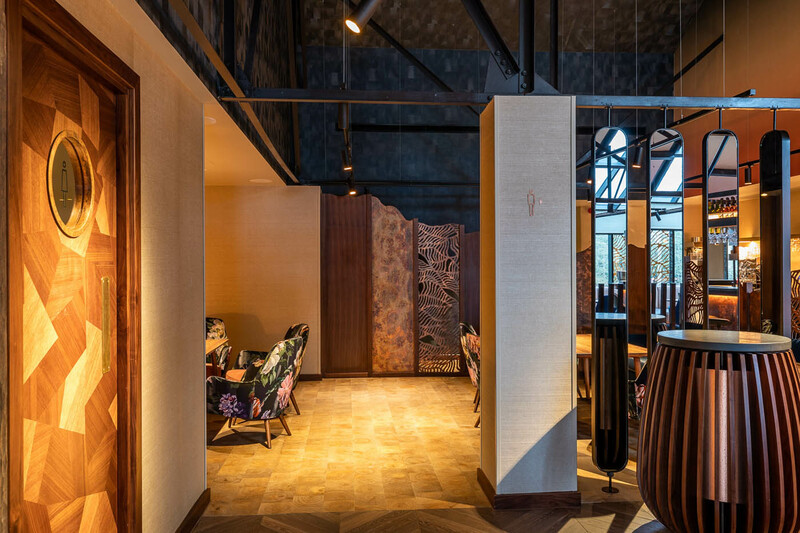 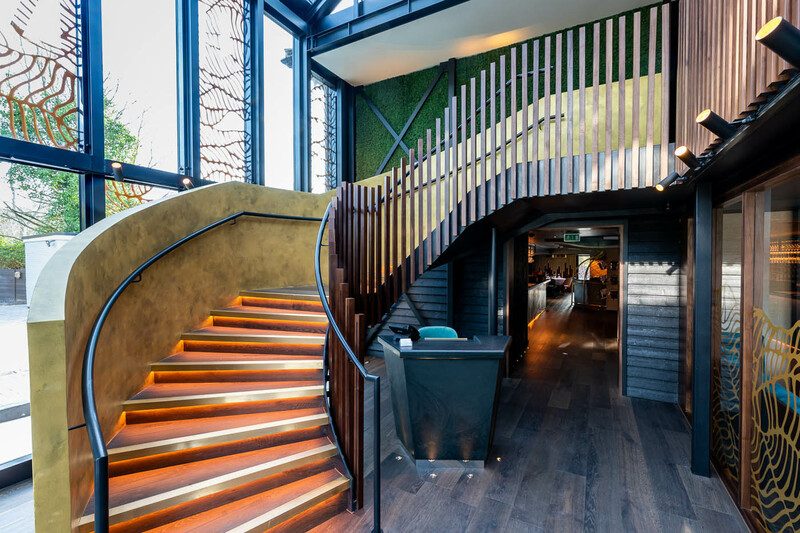 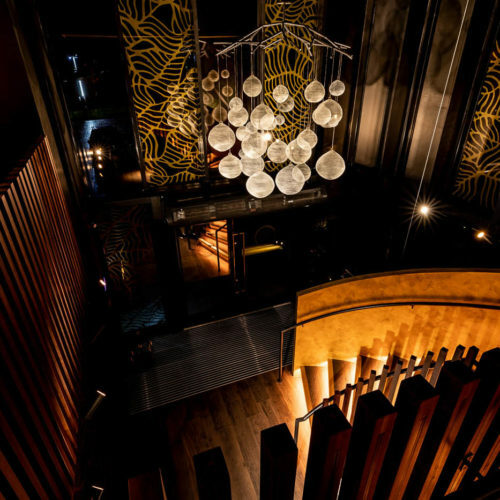 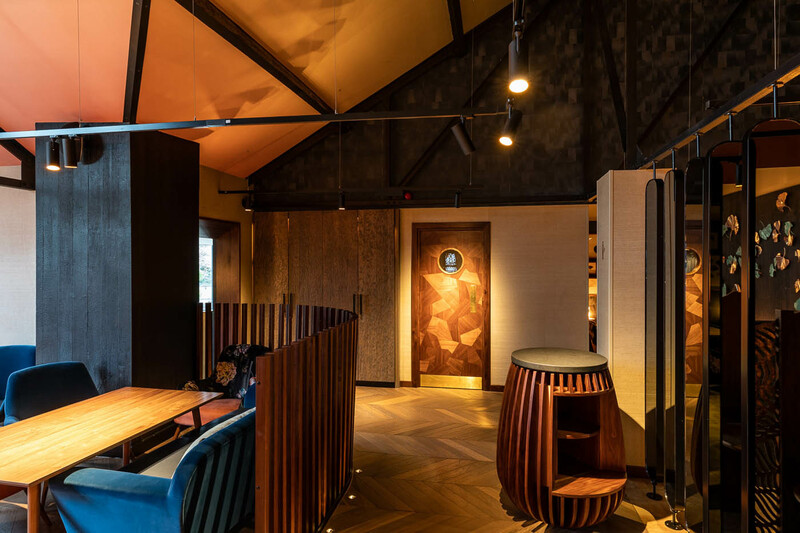 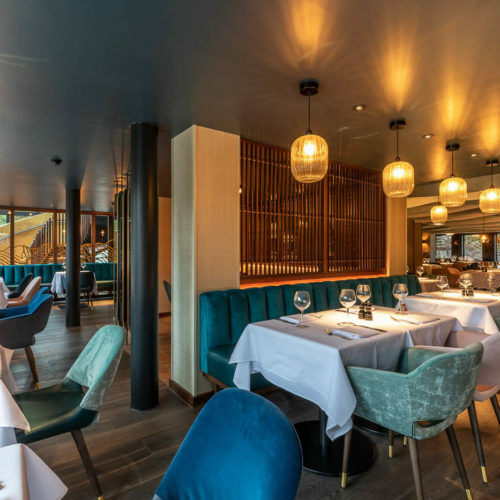 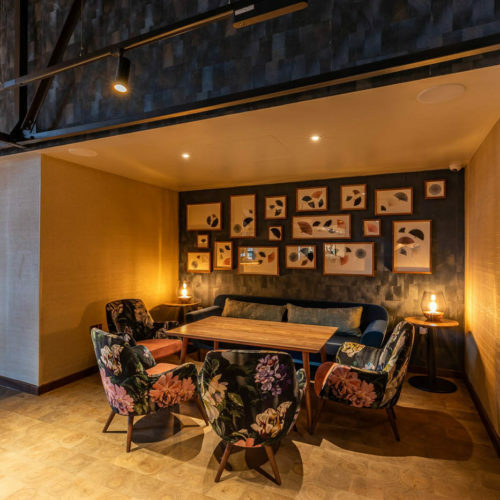 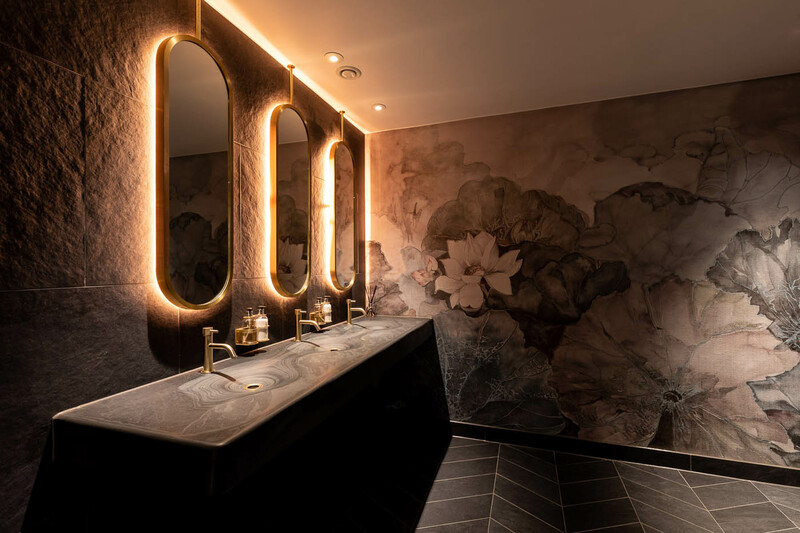 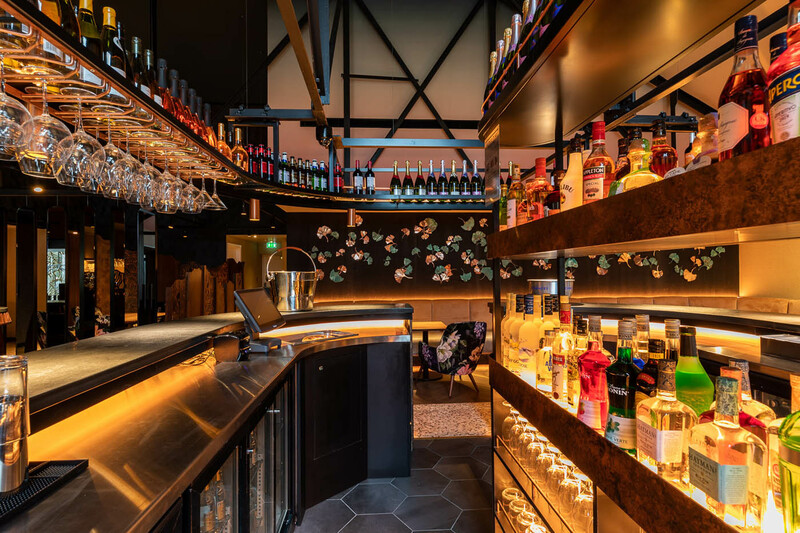 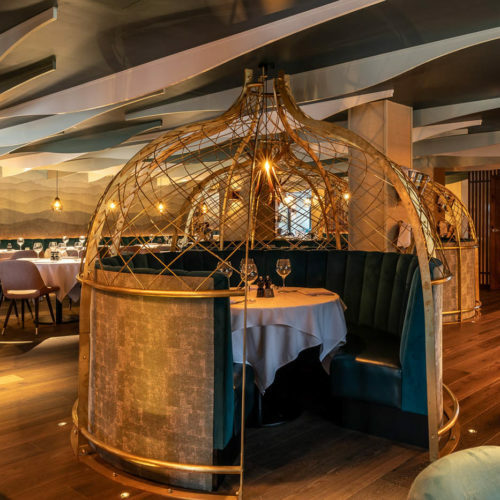 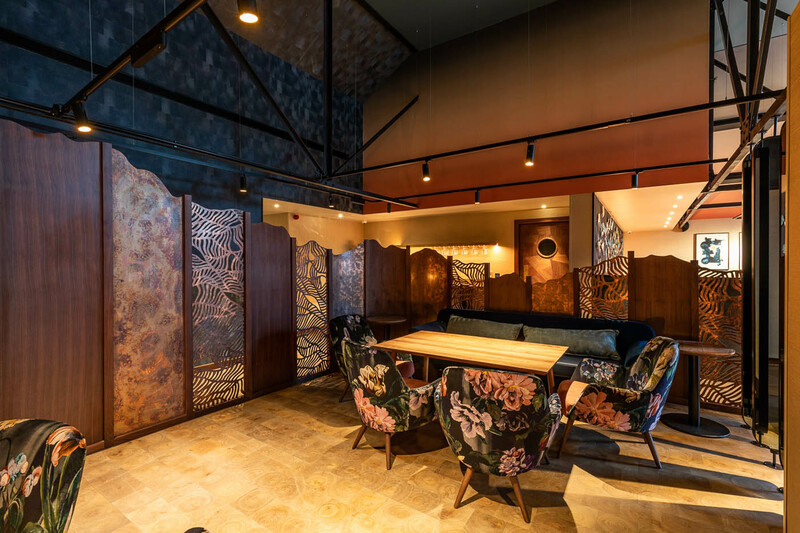 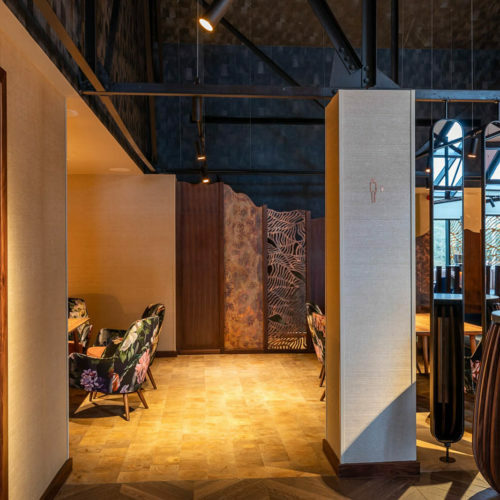 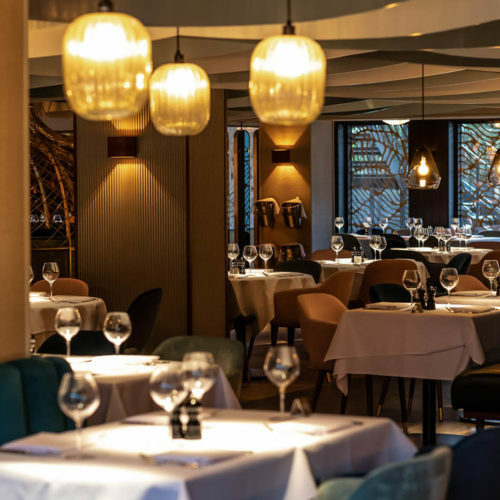 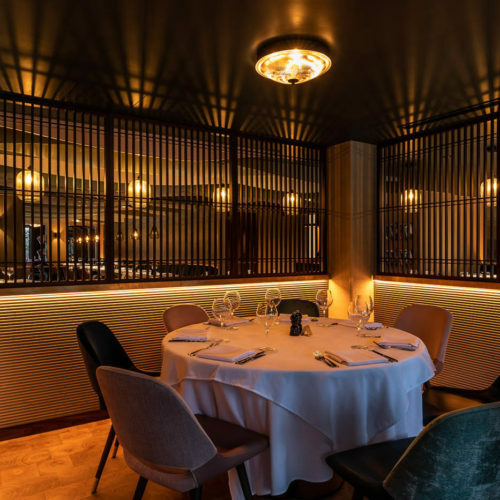 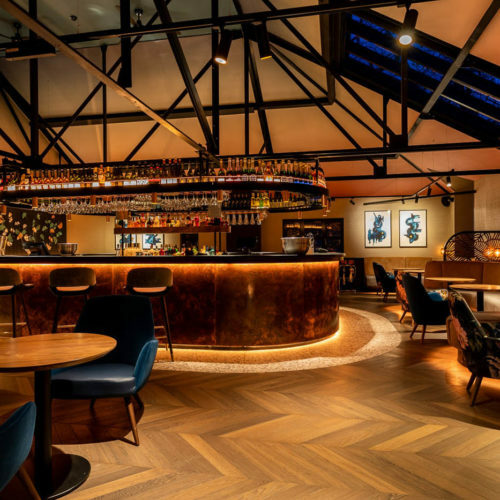 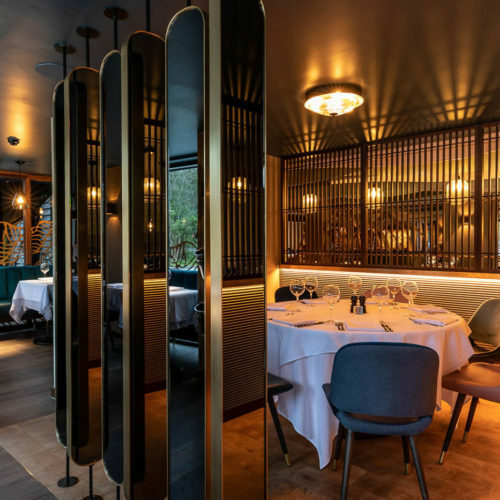 “Dining is experienced on the ground floor amongst a gentle palette of marine green, blues and stunning textures, the dark ceiling is clad with playful waved fins that alter the customers perception as their journey unfolds. 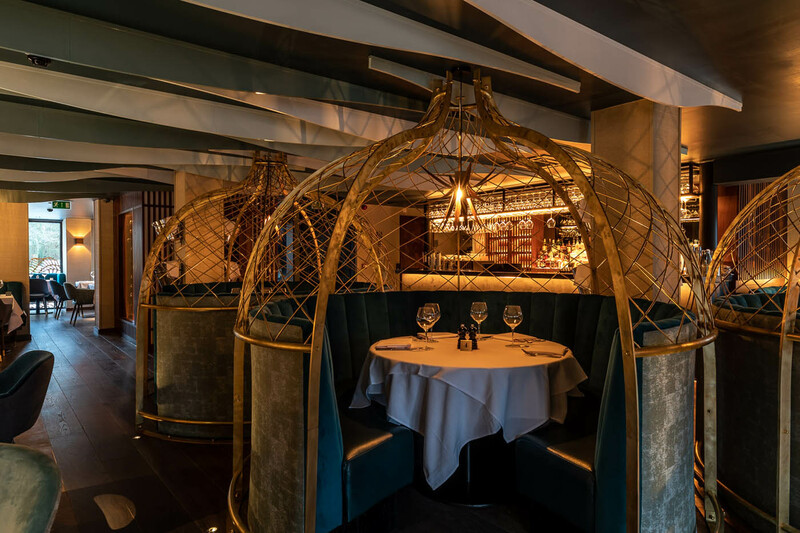 Brass nets drop through the waves to enclose three round booth seats. 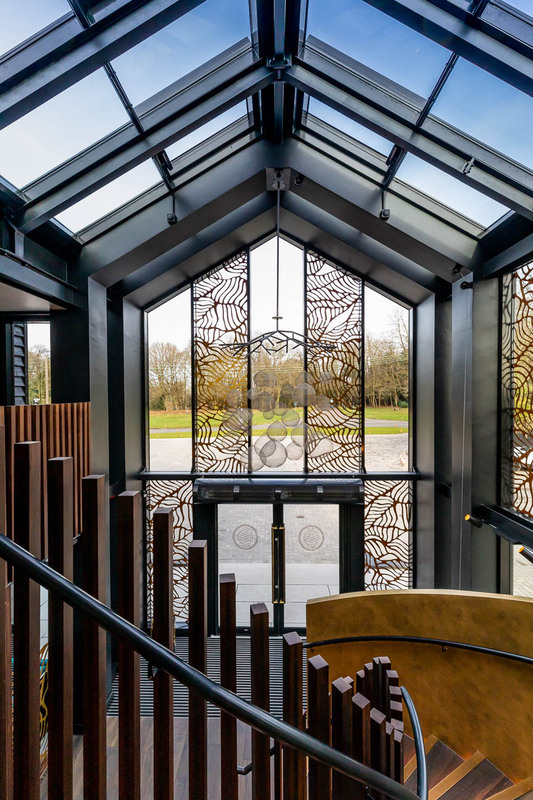 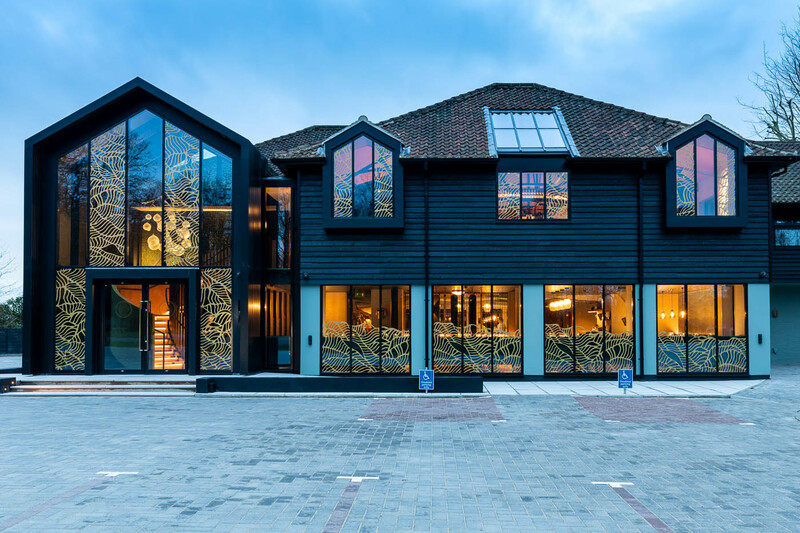 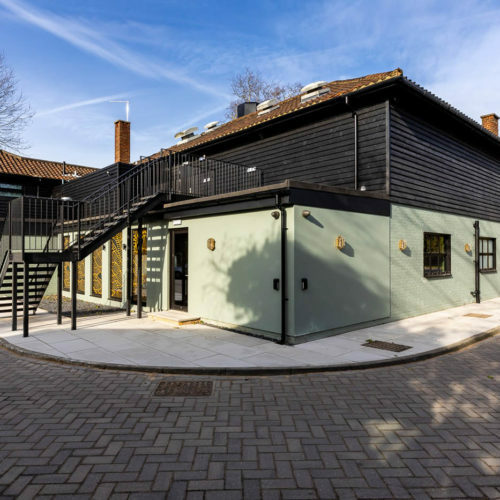 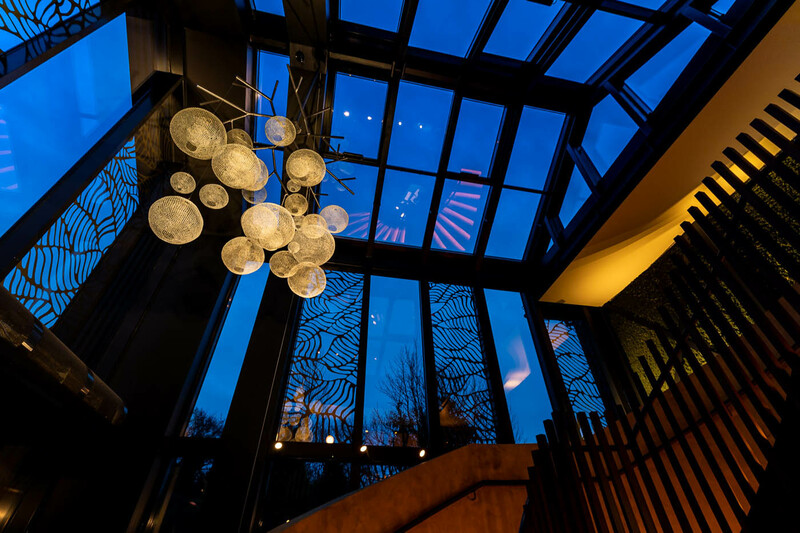 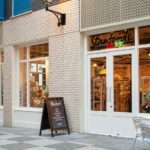 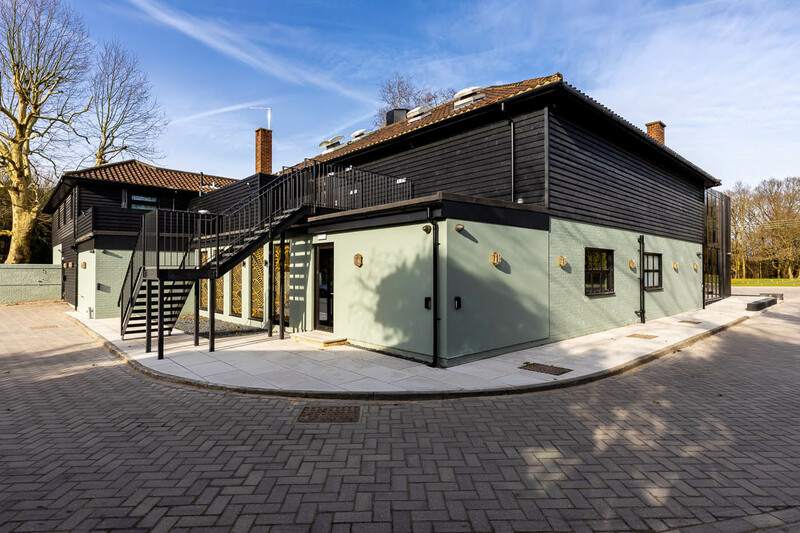 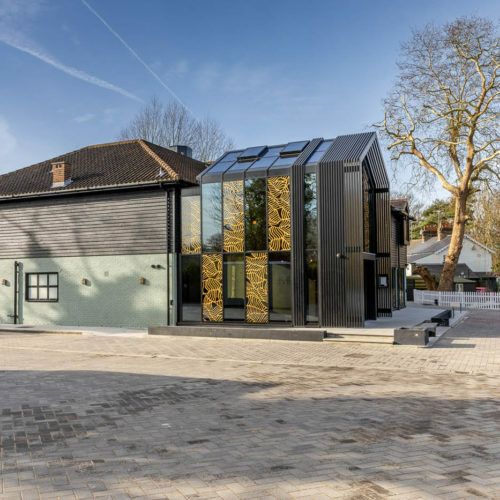 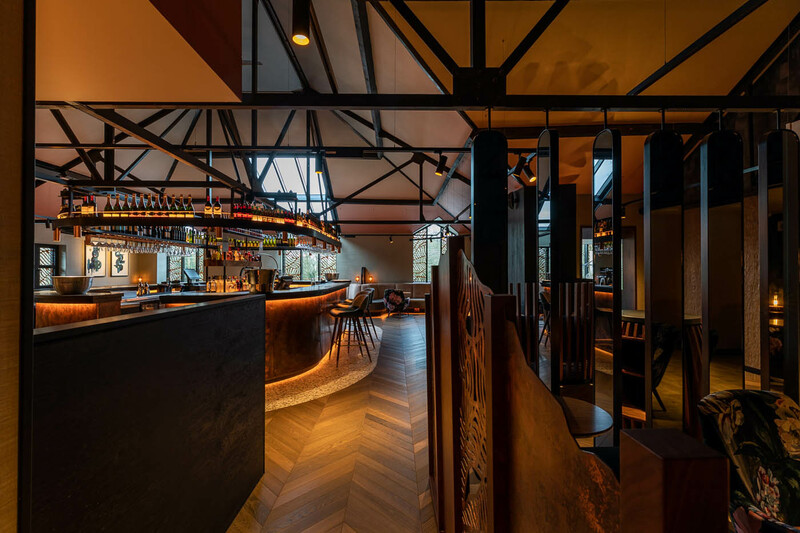 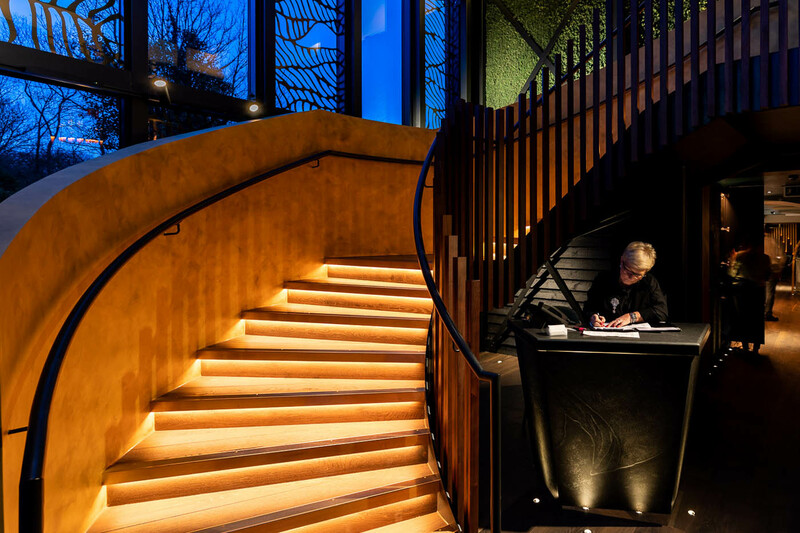 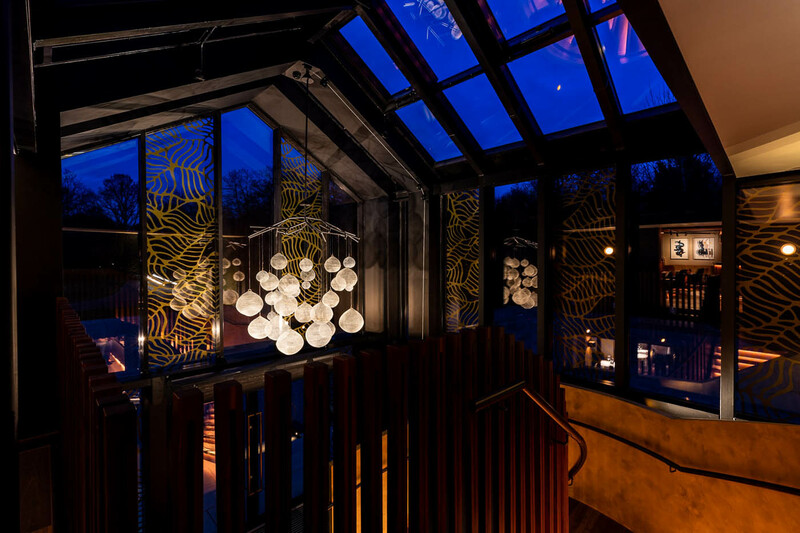 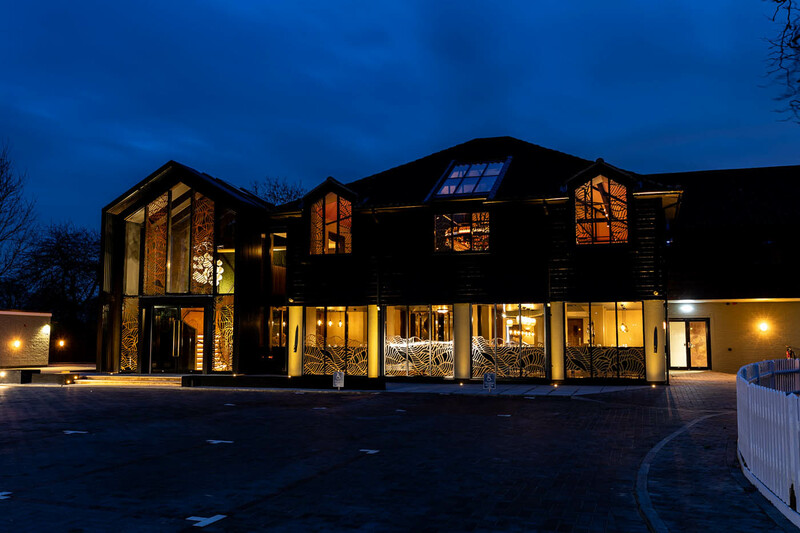 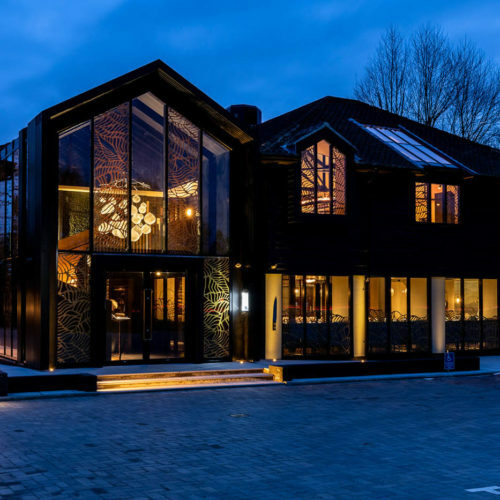 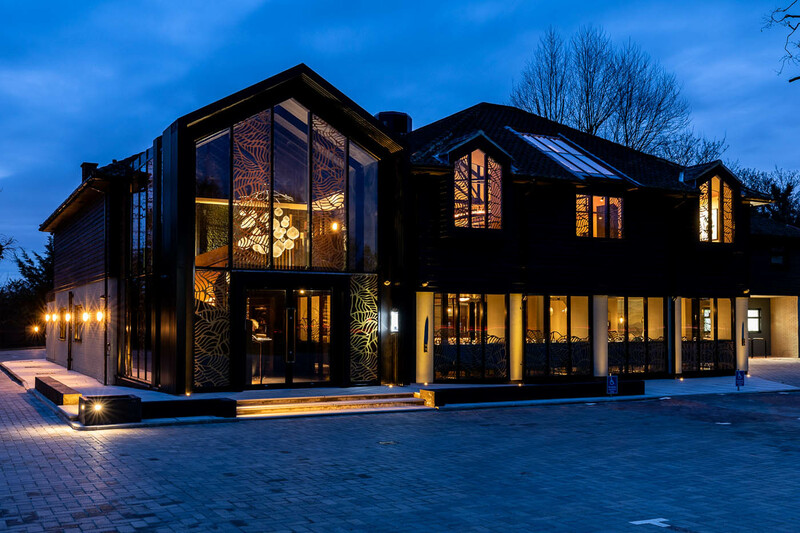 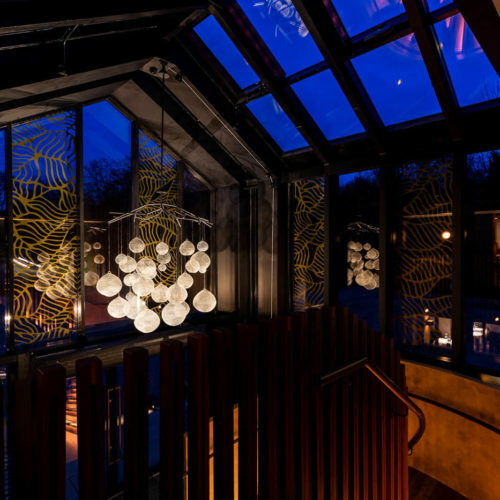 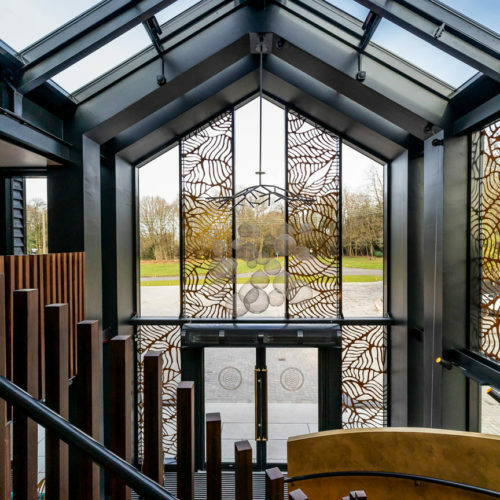 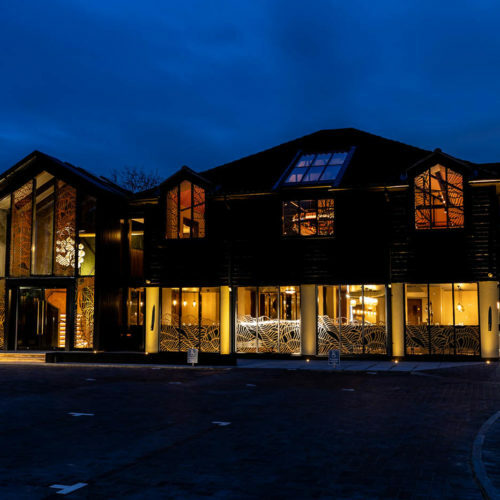 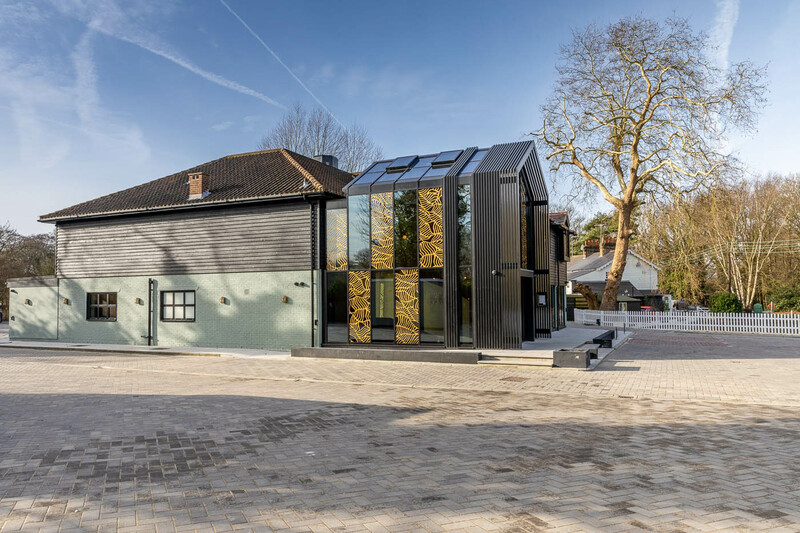 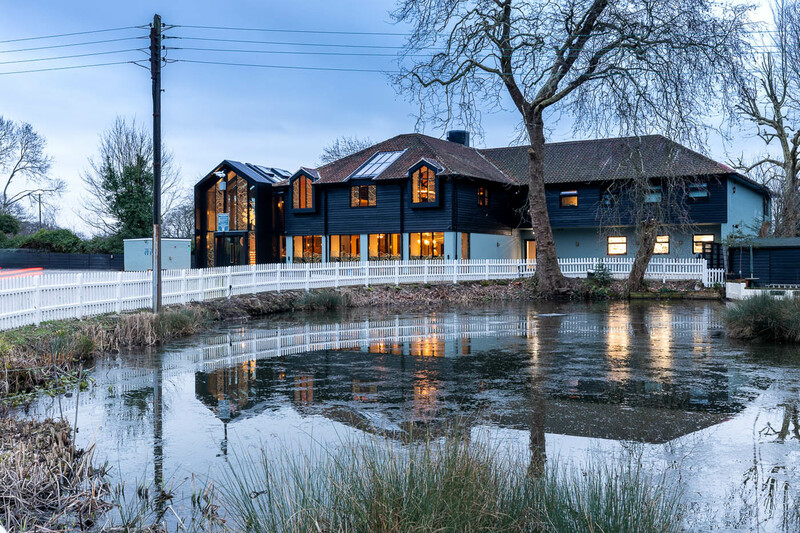 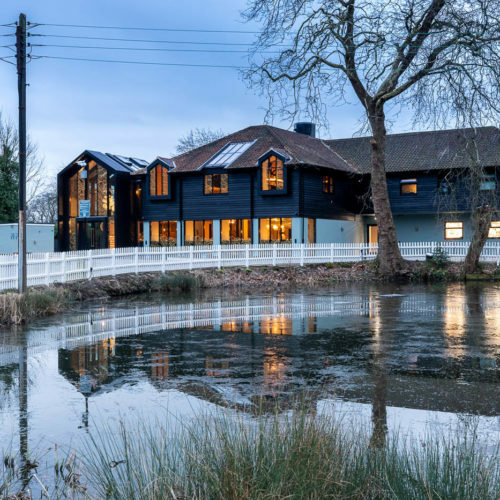 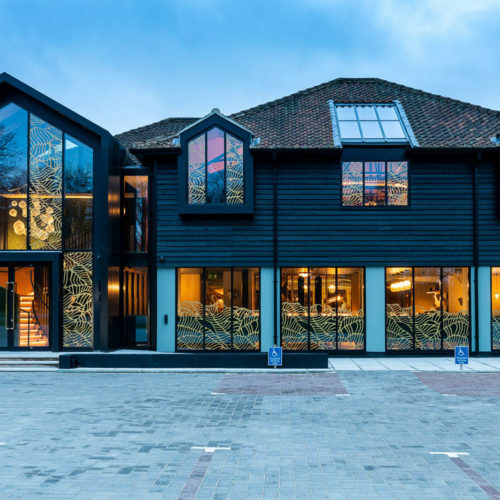 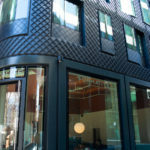 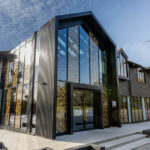 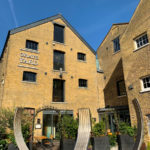 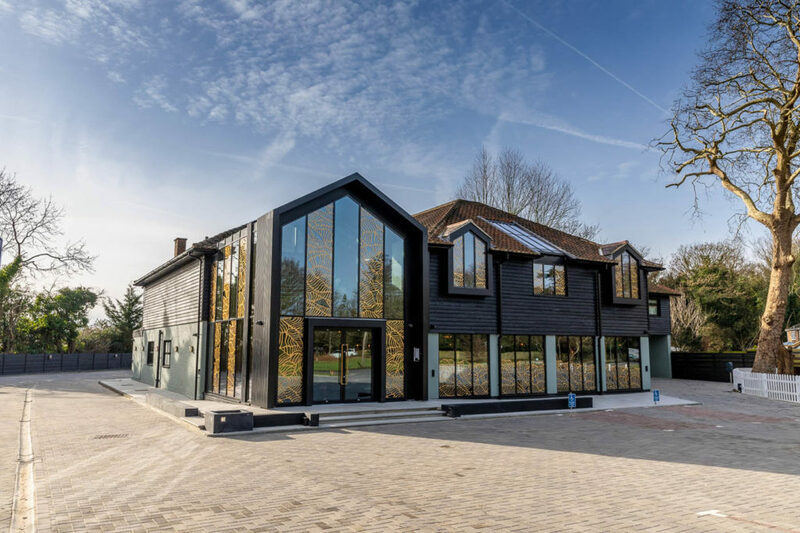 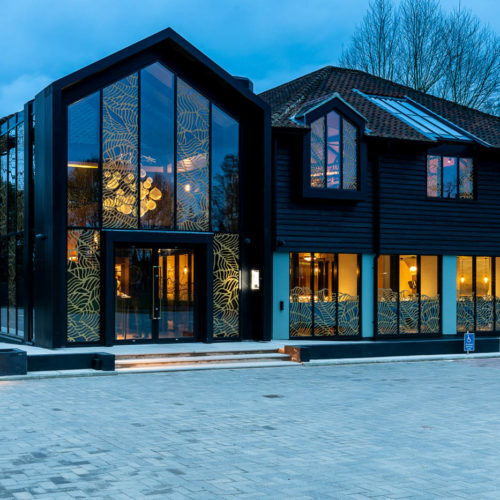 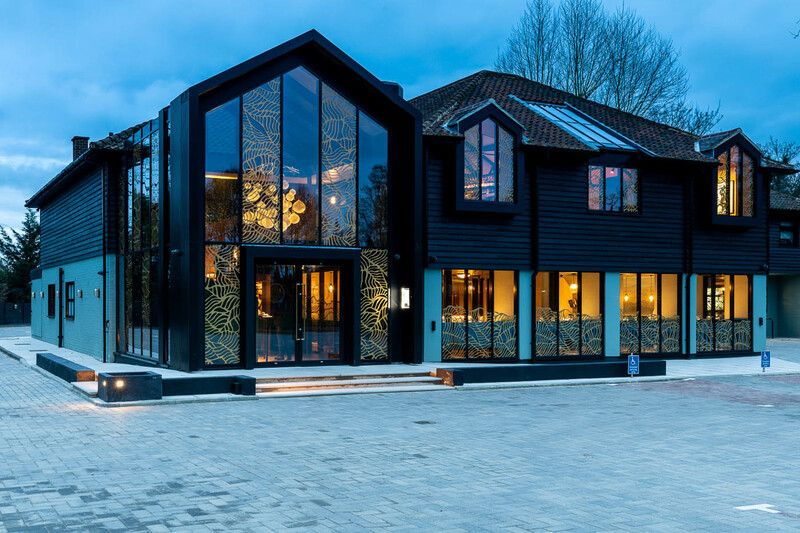 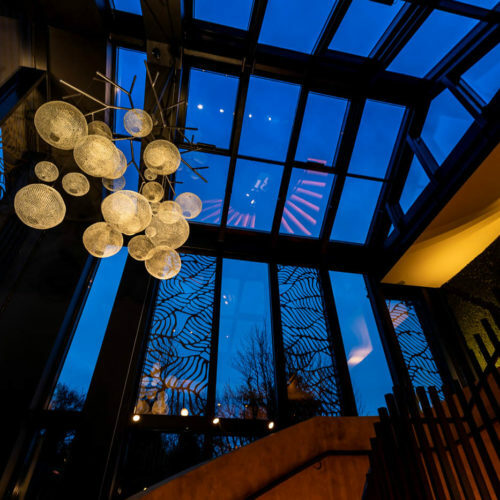 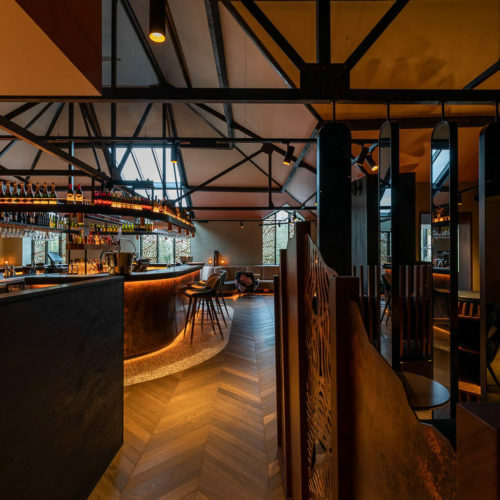 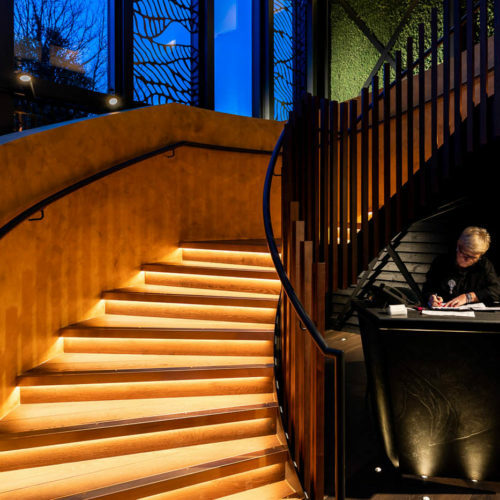 “The entrance to the restaurant has been relocated into a new, double height glazed atrium and the building’s exterior has been enveloped in traditional black shiplap cladding. 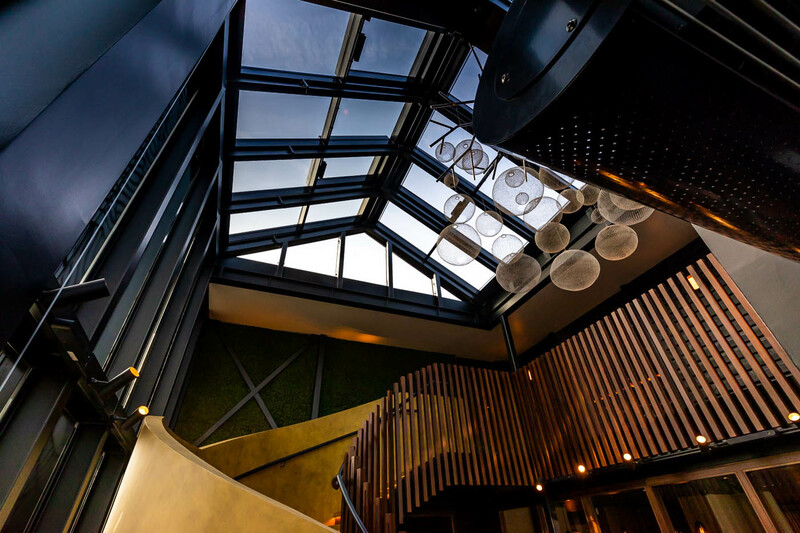 The first floor roof has been punctuated by three new windows the result is sleek and sultry.